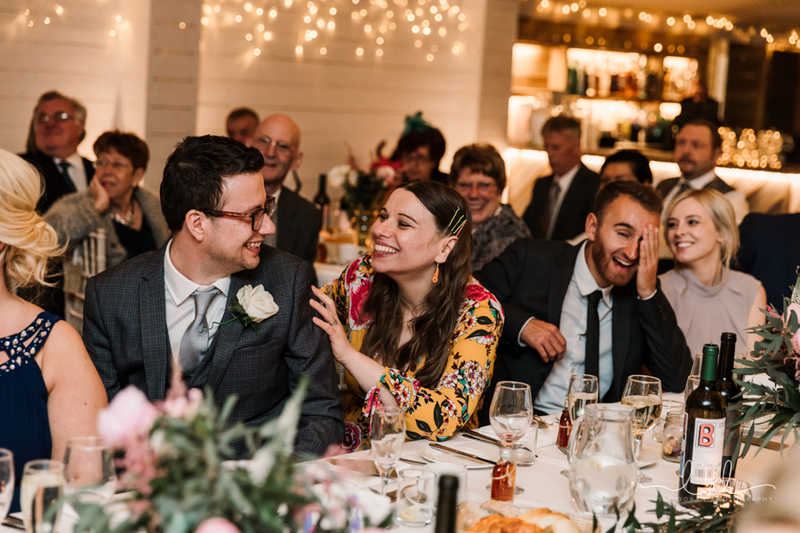 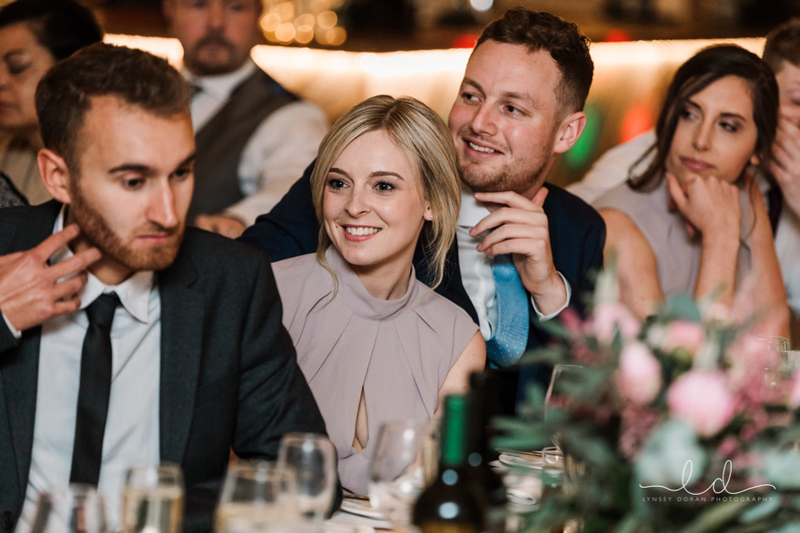 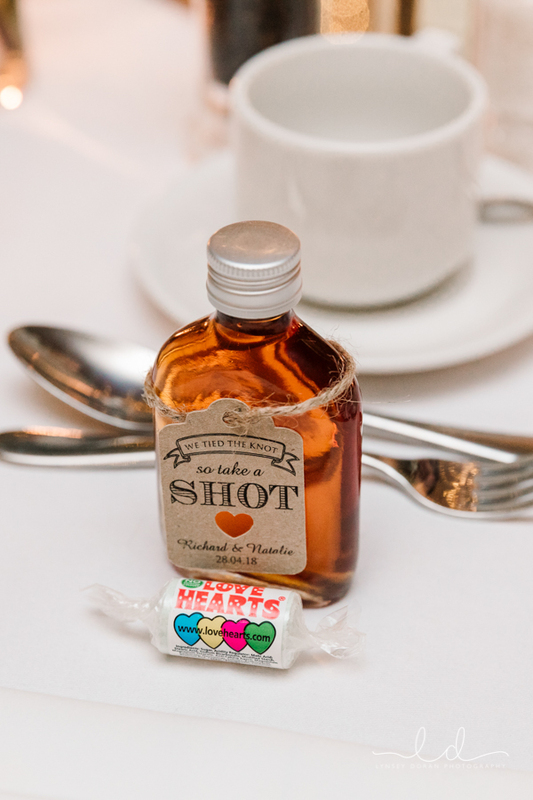 This was my first ever visit to The Normans Weddings and it did not disappoint. 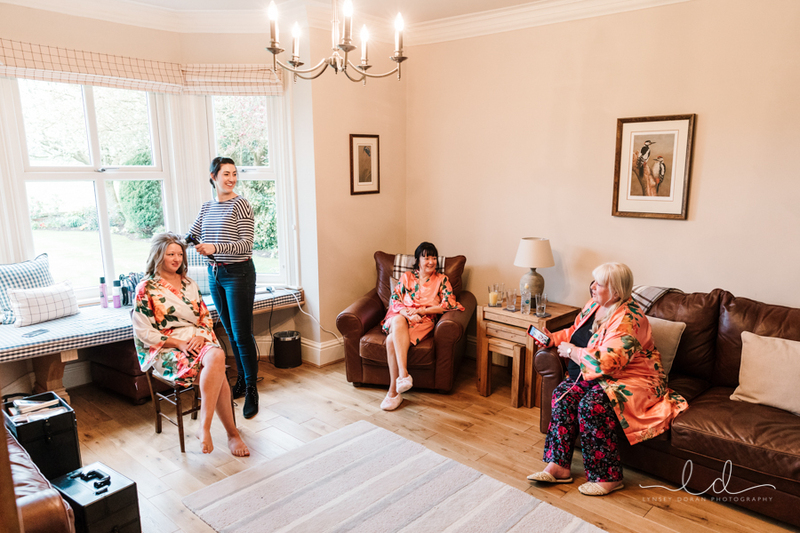 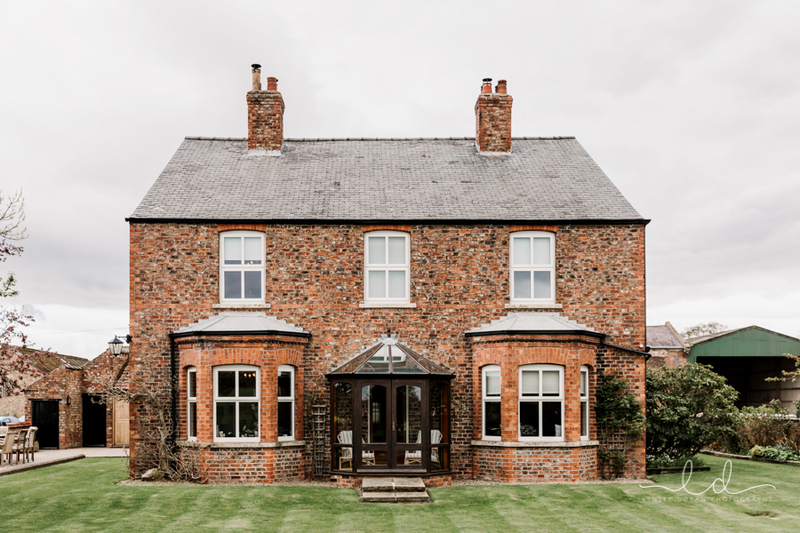 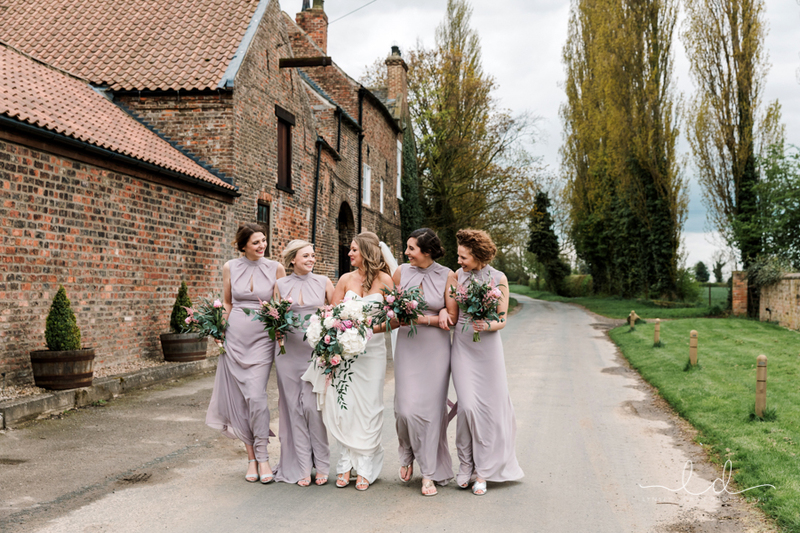 I joined Natalie and her girls for bridal prep photography at a lovely little countryside holiday cottage on the outskirts of York which is surrounded by endless open farmed countryside. 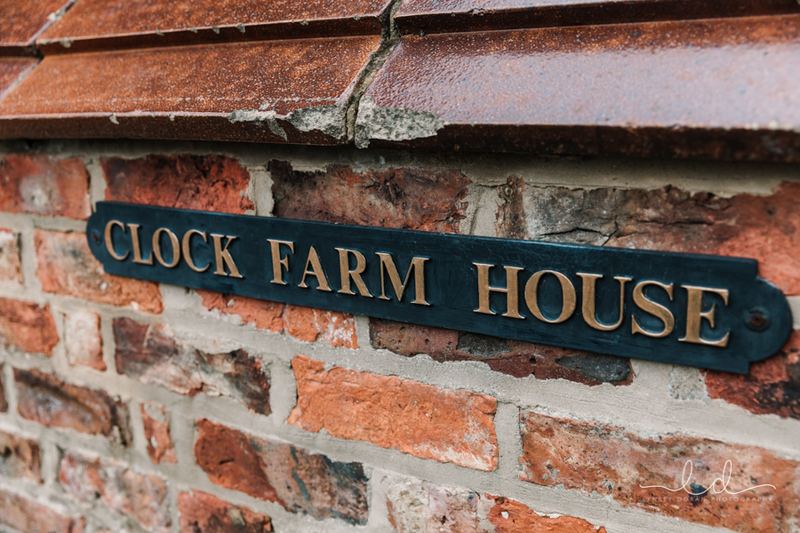 I arrived at Clock Farm House nice and early, the views over the surrounding fields were bright and vibrant, the smell of country air and visiting local animals make this little luxury country cottage the perfect venue. 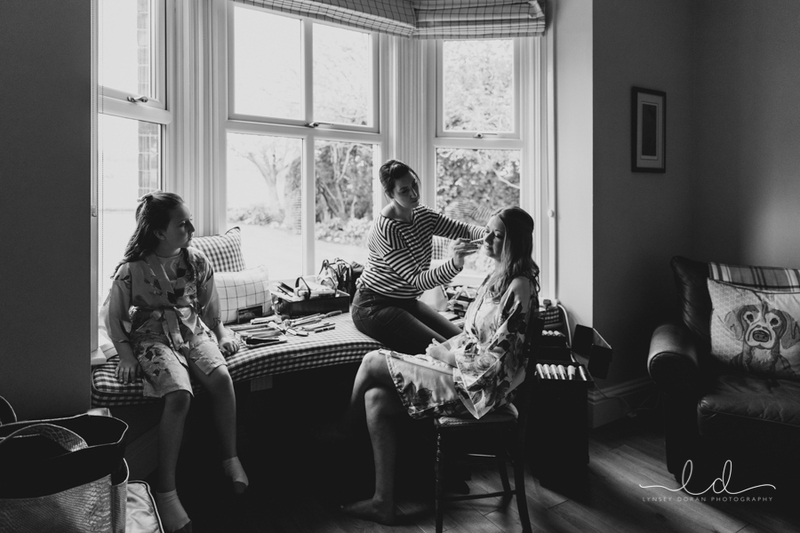 On my arrival Natalie and her bridesmaids were in the midst of getting ready. 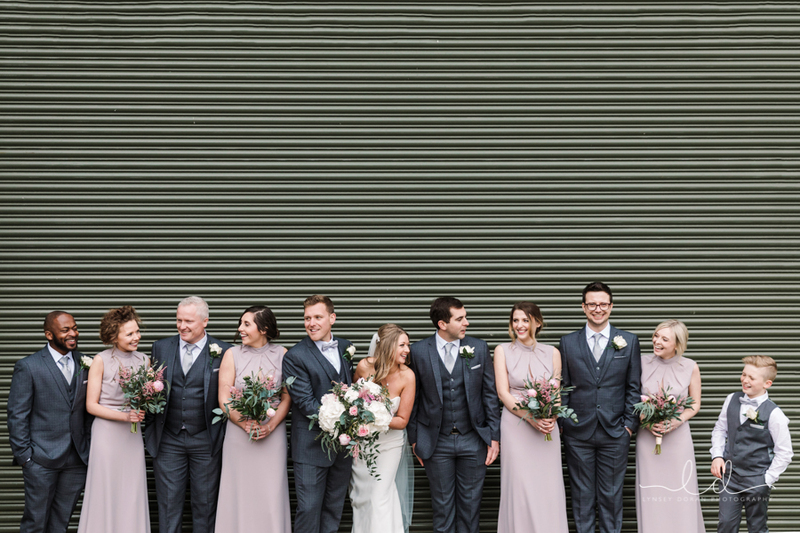 They all looked very elegant including both Mums. 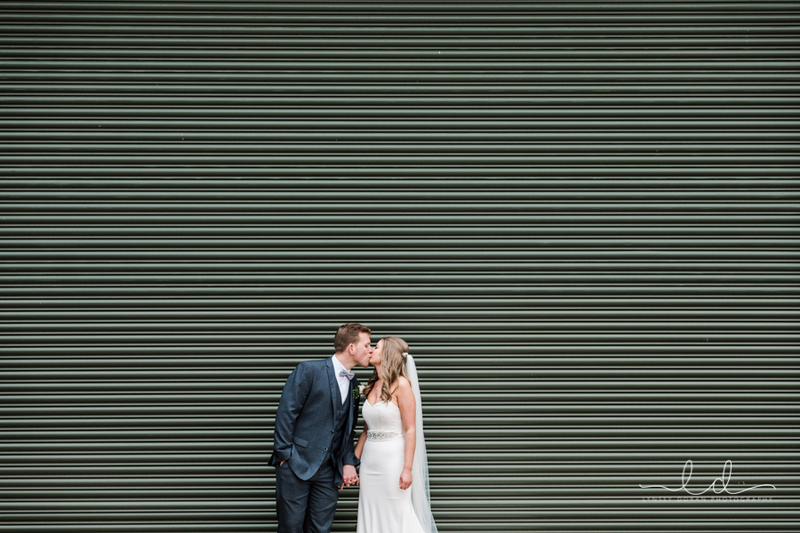 They were also staying there. 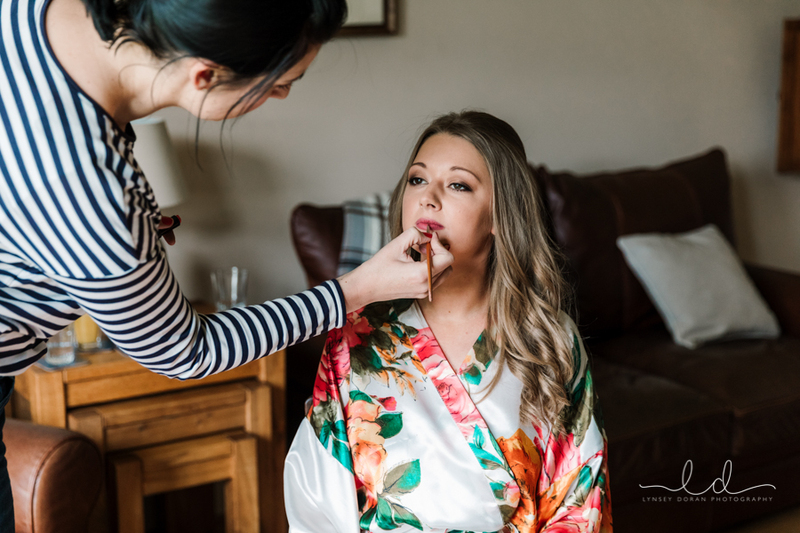 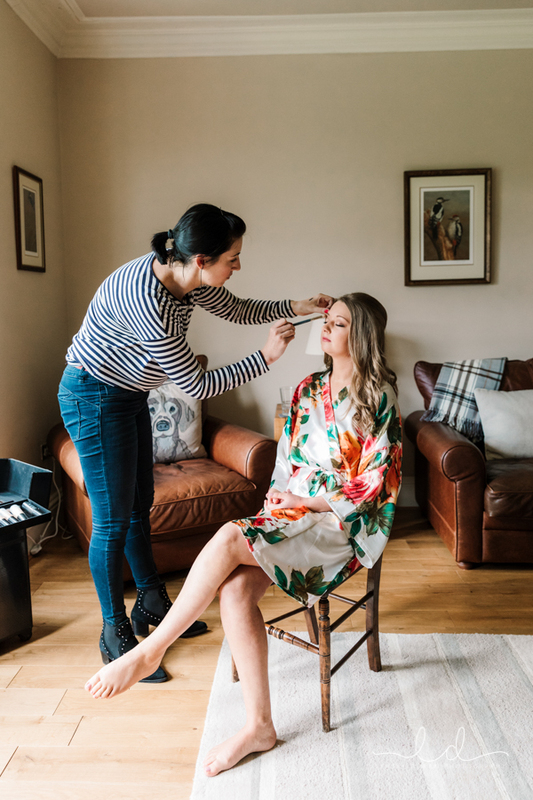 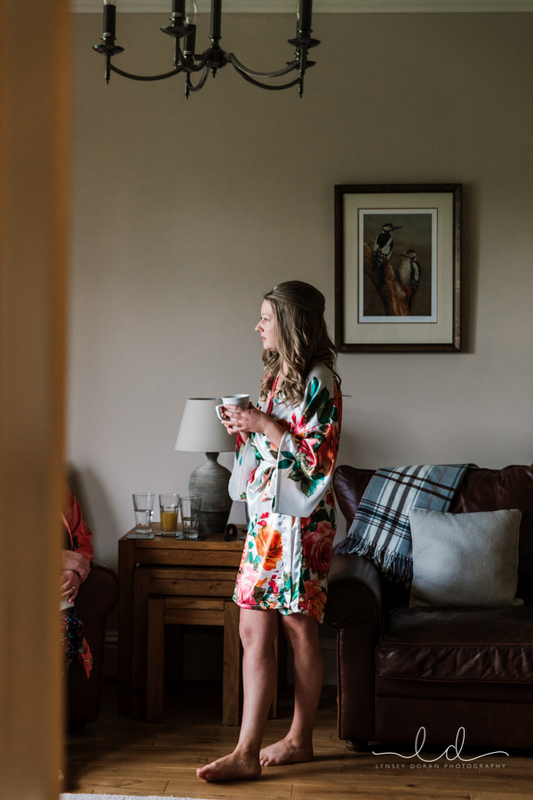 The atmosphere was calm and relaxed and inside the beautiful rustic farmhouse the light was perfect for those elegant make up bridal prep photography that I always love to capture. 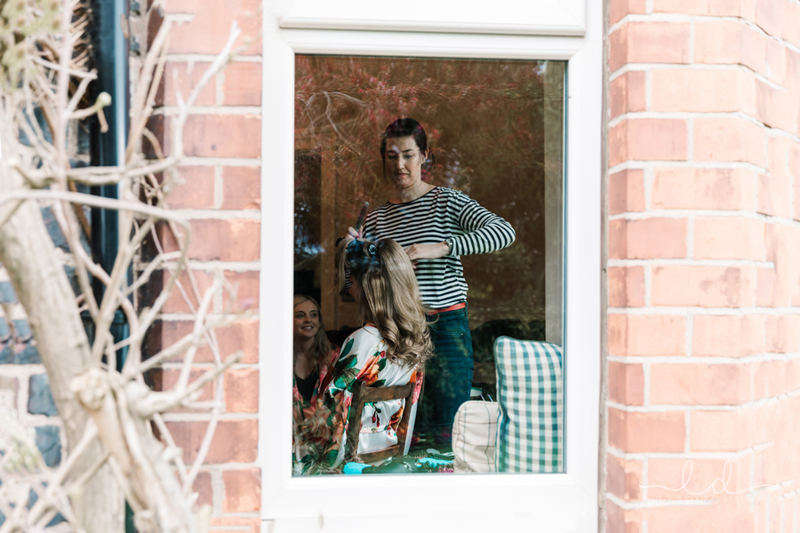 It was my first time working alongside Sam who is a fabulous Yorkshire Hair & Make up artist based in Yorkshire. 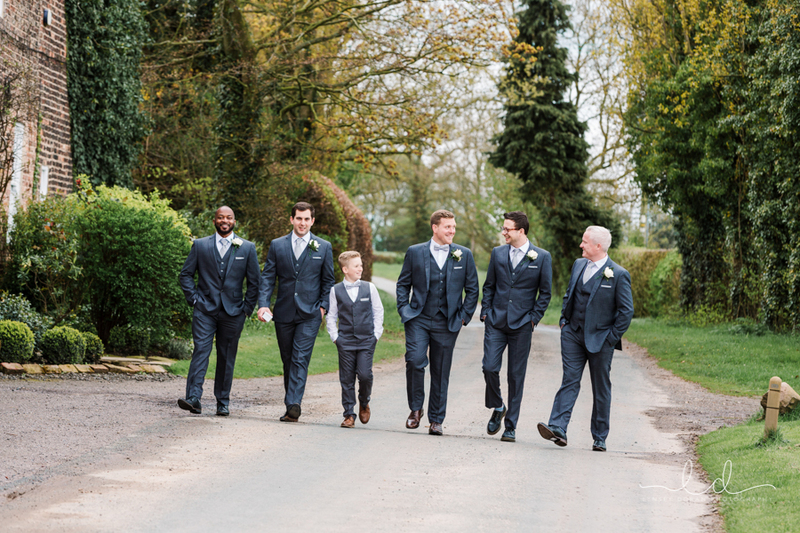 I headed over to The Normans Weddings York, to meet with Richard and his Groomsmen. 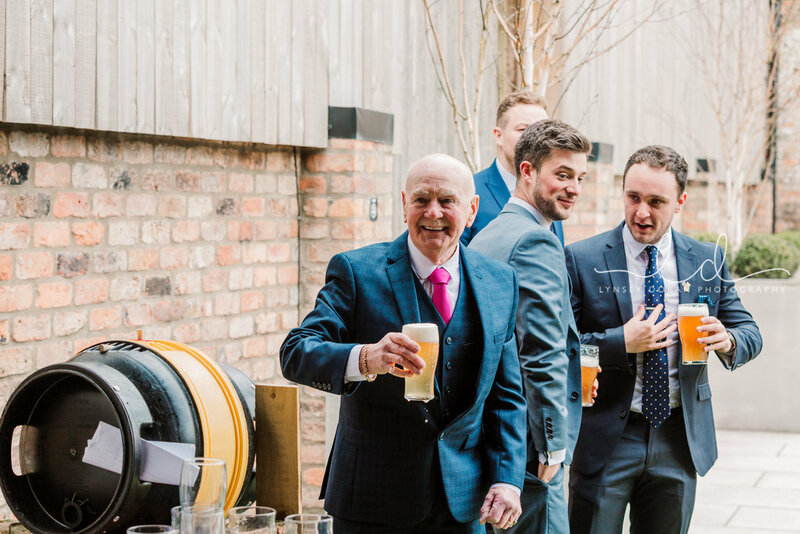 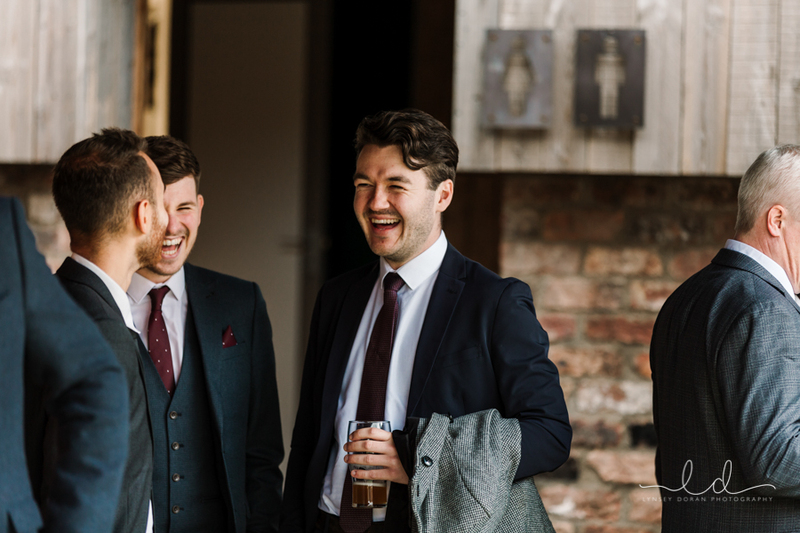 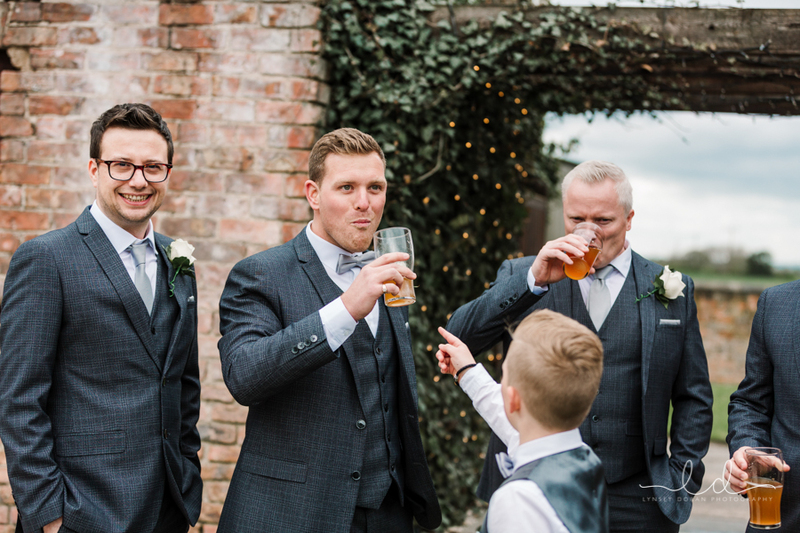 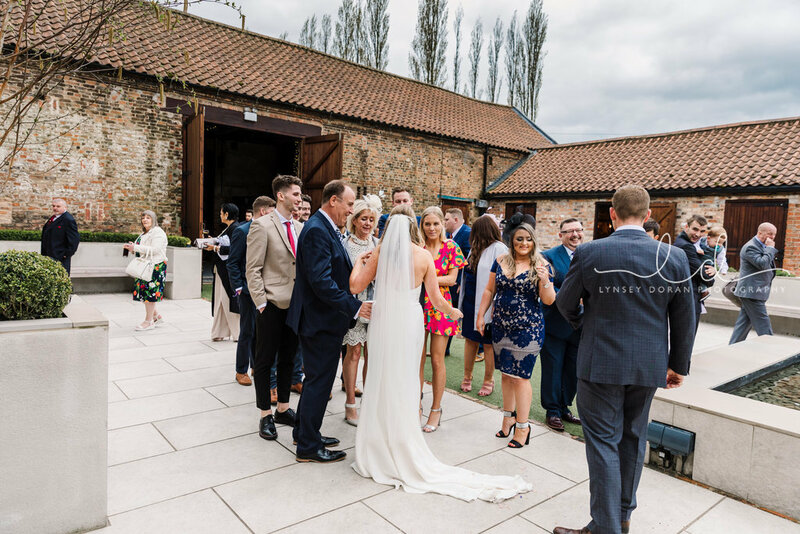 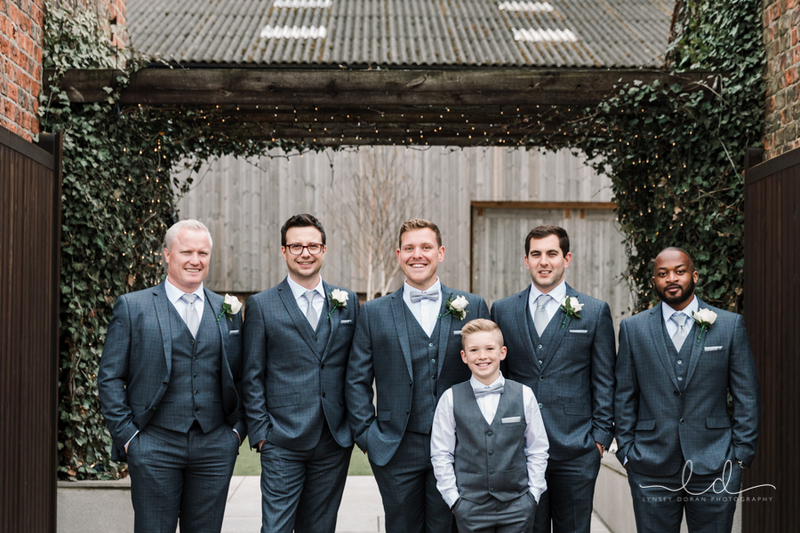 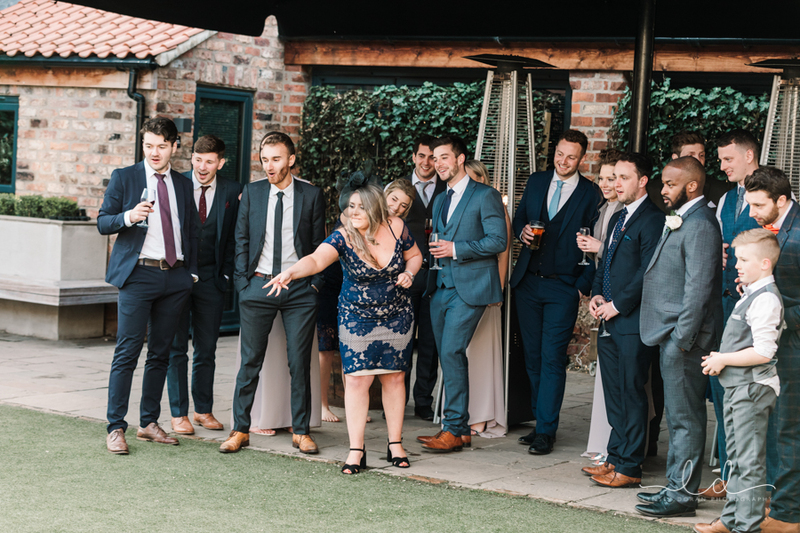 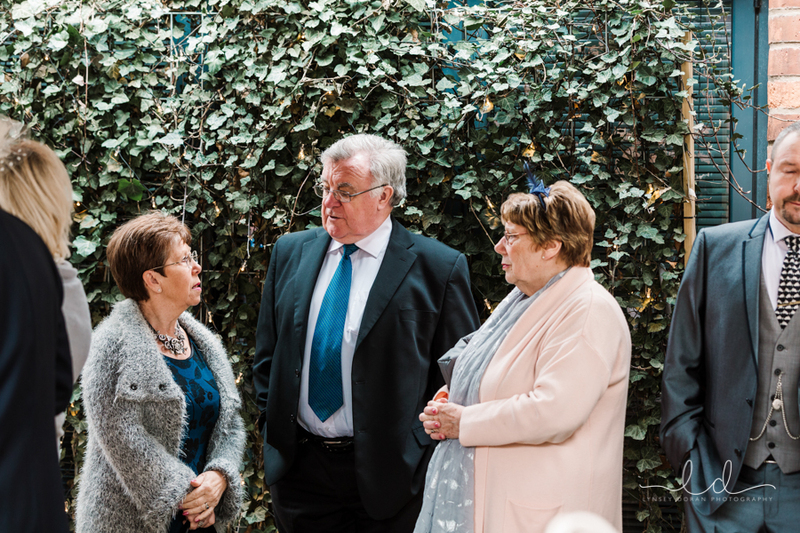 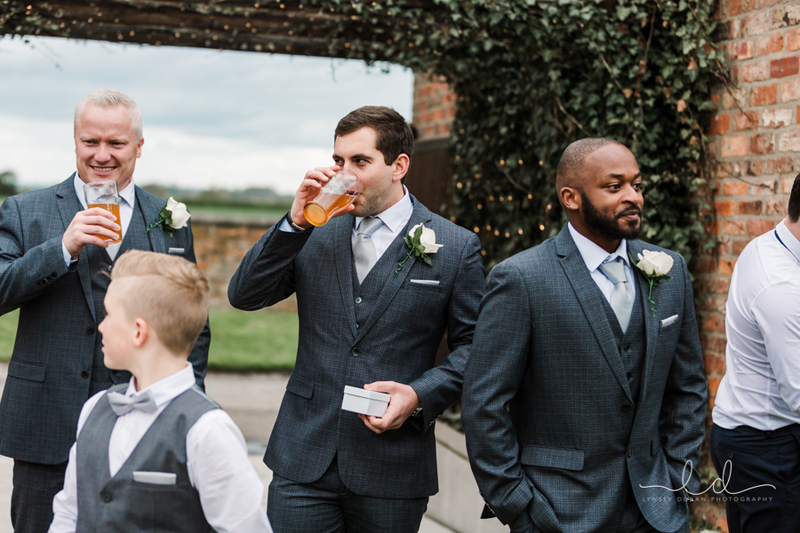 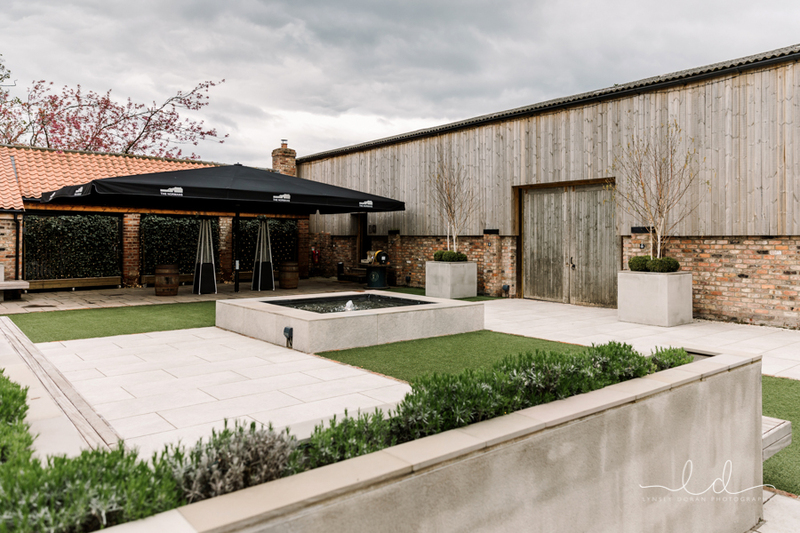 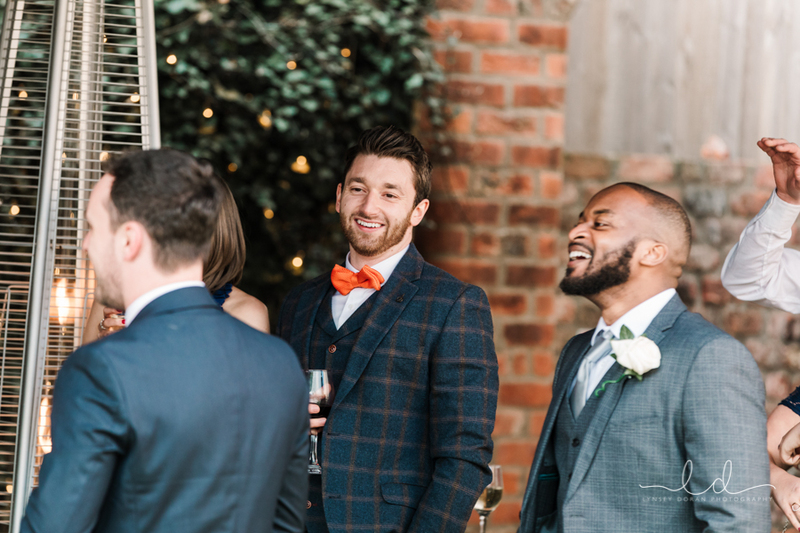 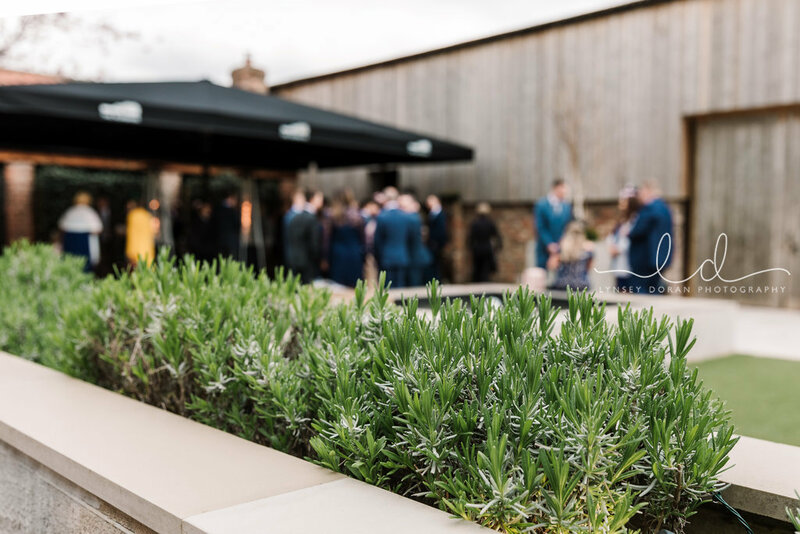 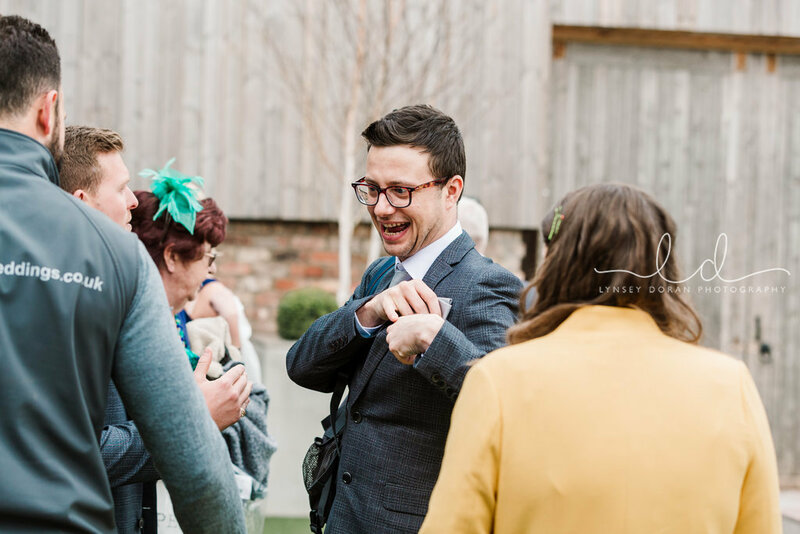 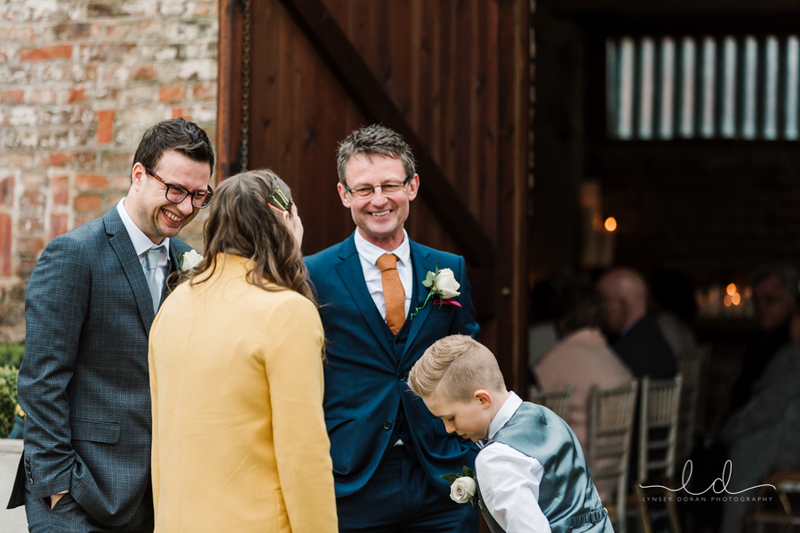 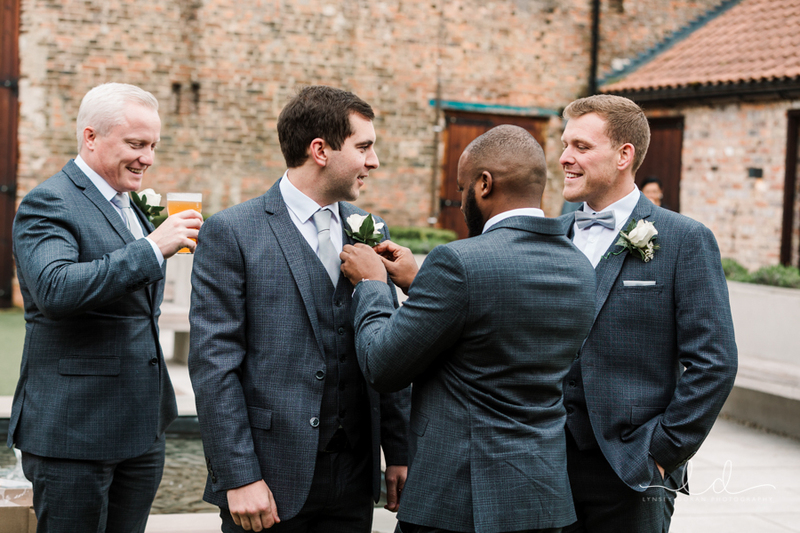 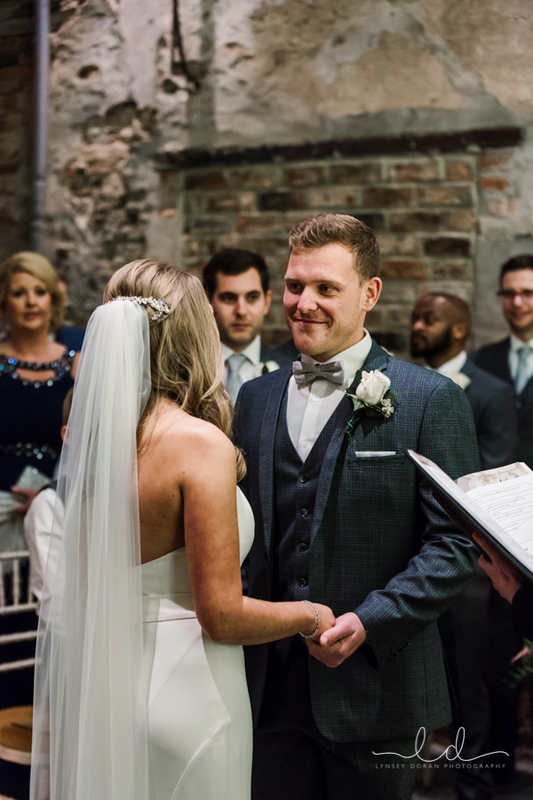 The weather was perfect and they were all outside in the courtyard of the Rustic Barn wedding venue, Yorkshire. 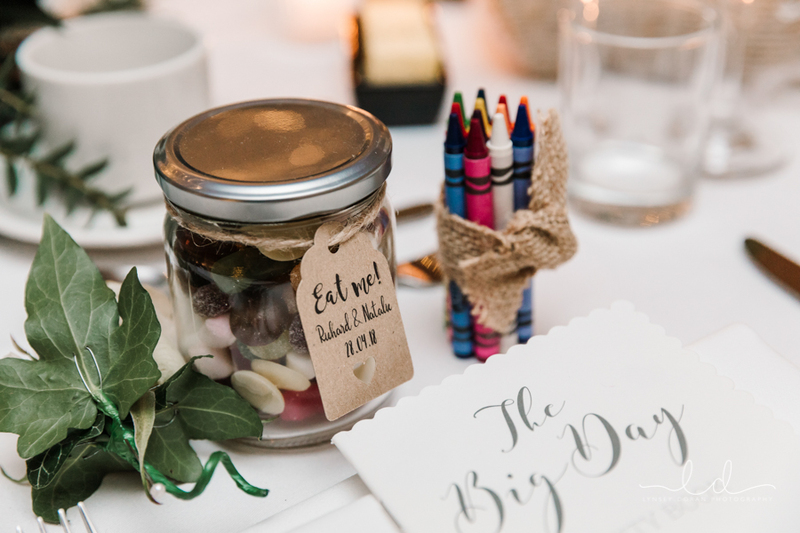 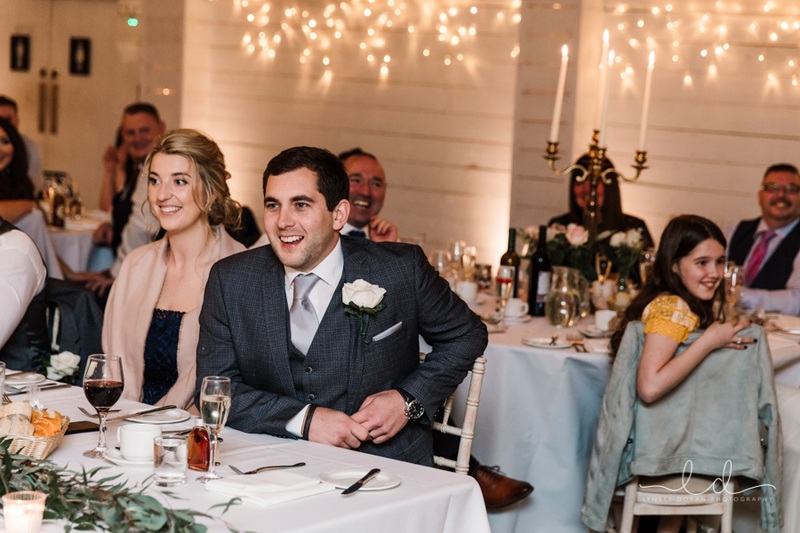 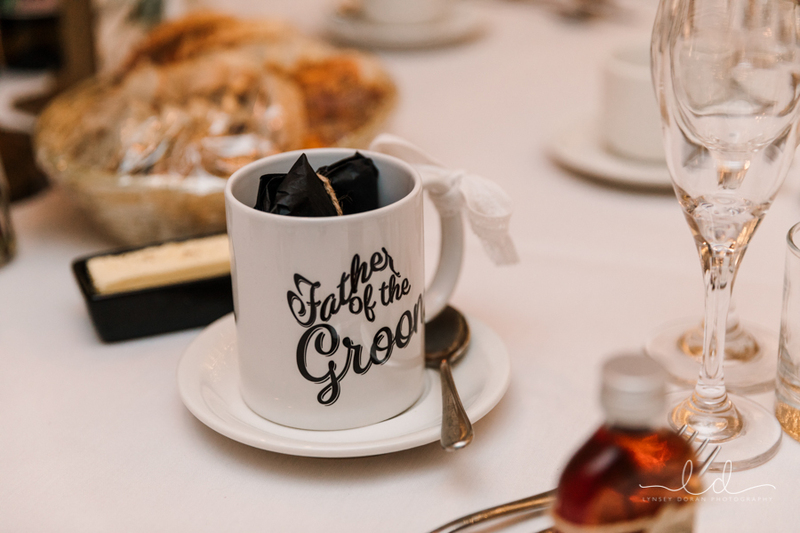 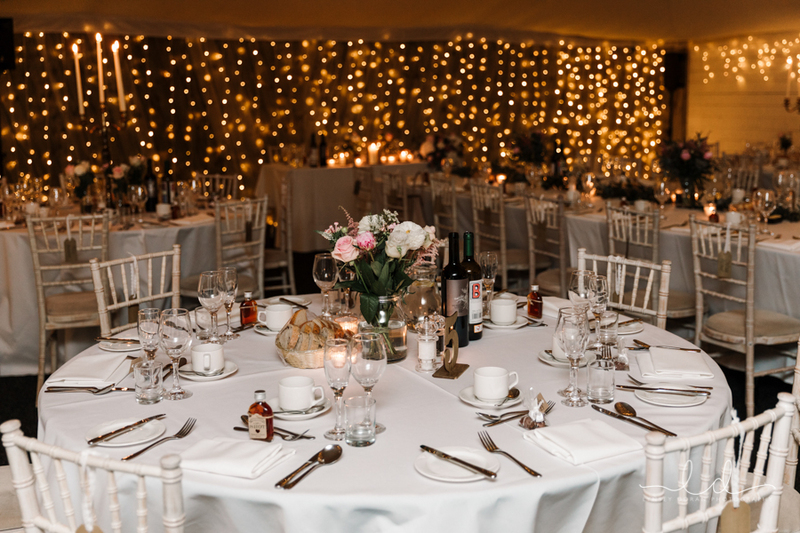 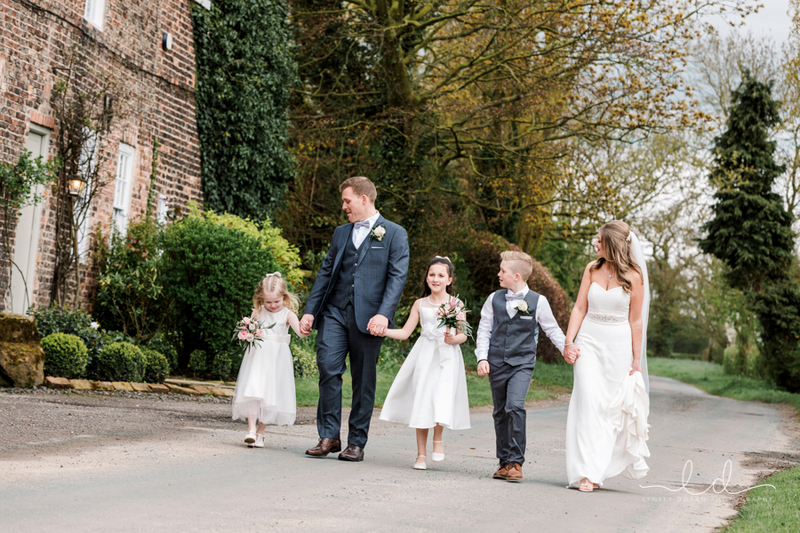 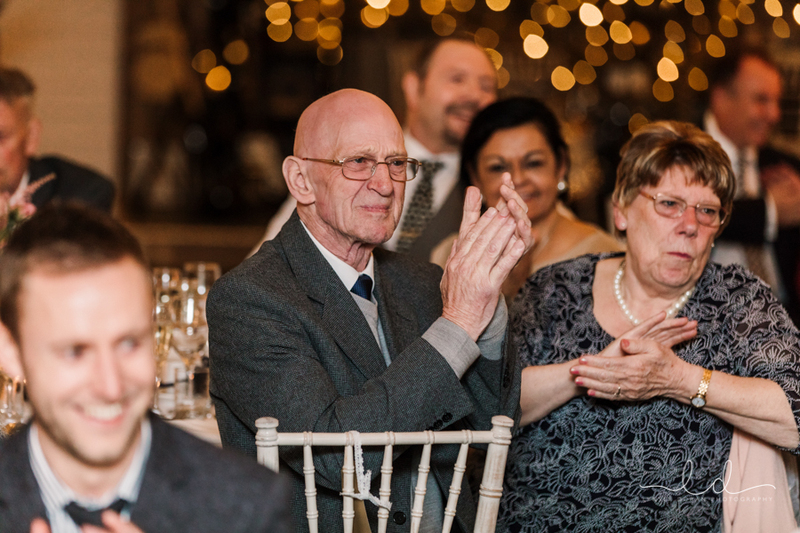 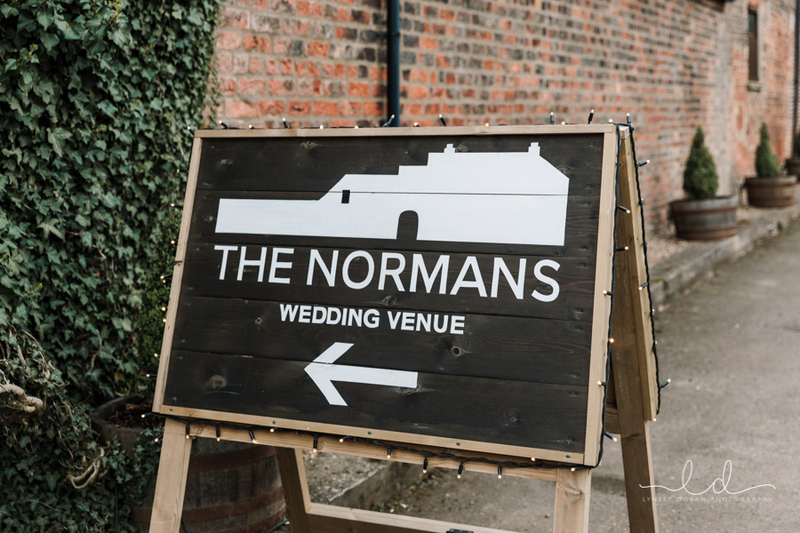 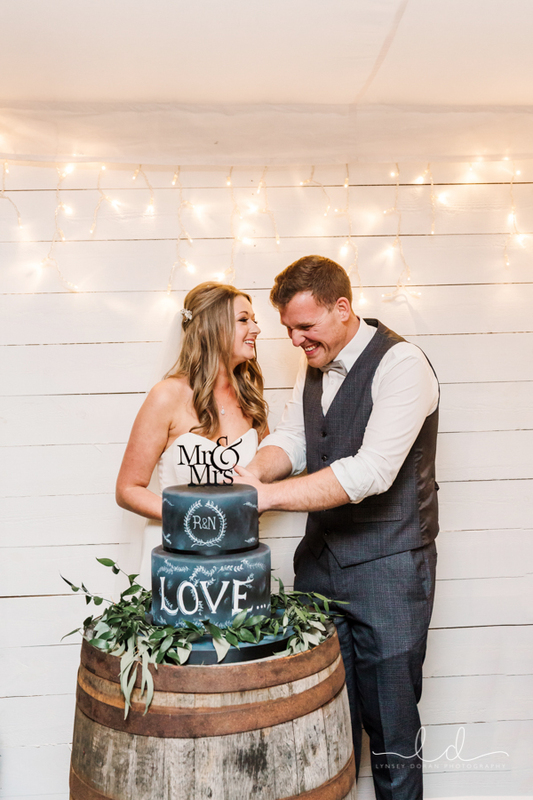 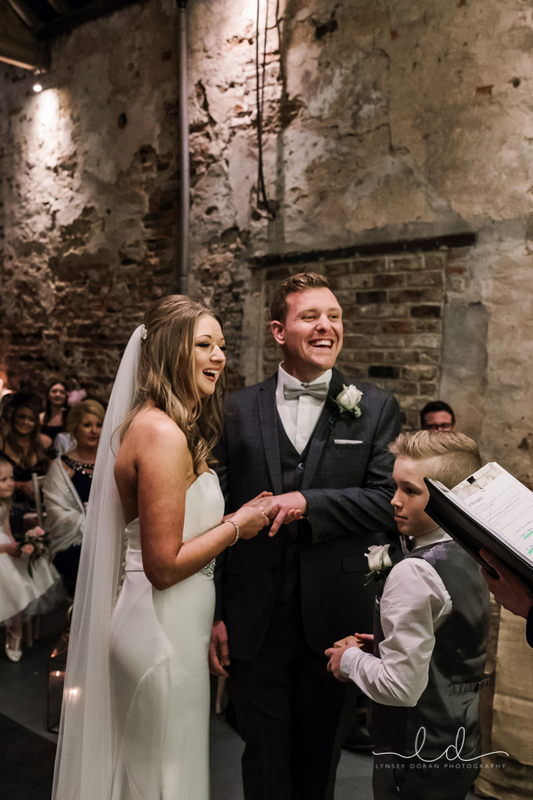 The Normans is a family run country wedding venue, it is set amongst beautiful countryside. 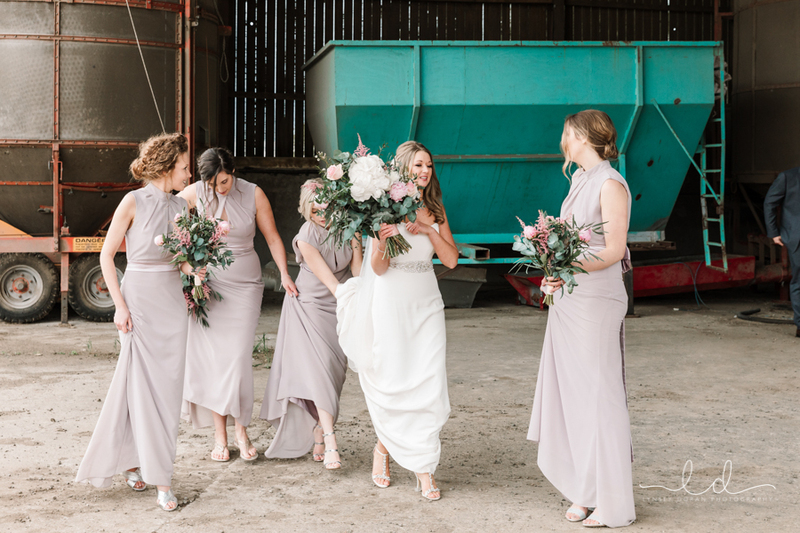 With access to the fields for wedding photography and to the rustic farm buildings it provides a magnificent backdrop and is a truly unique location for rustic country weddings. 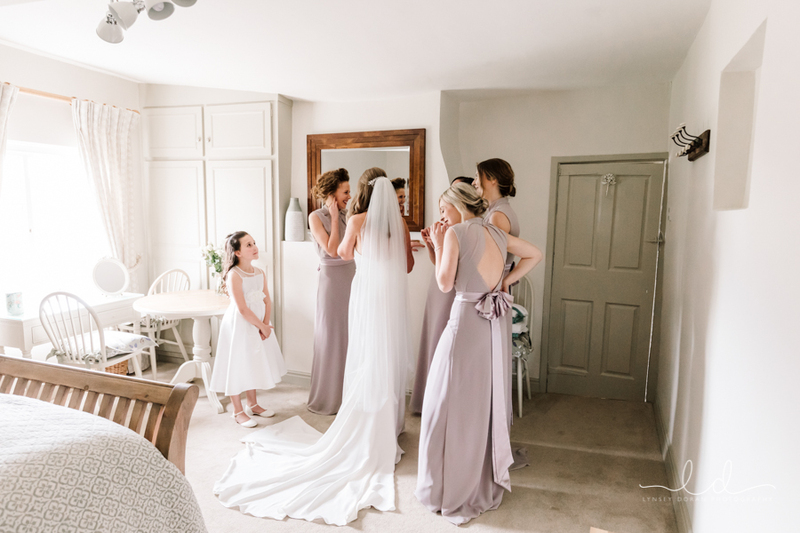 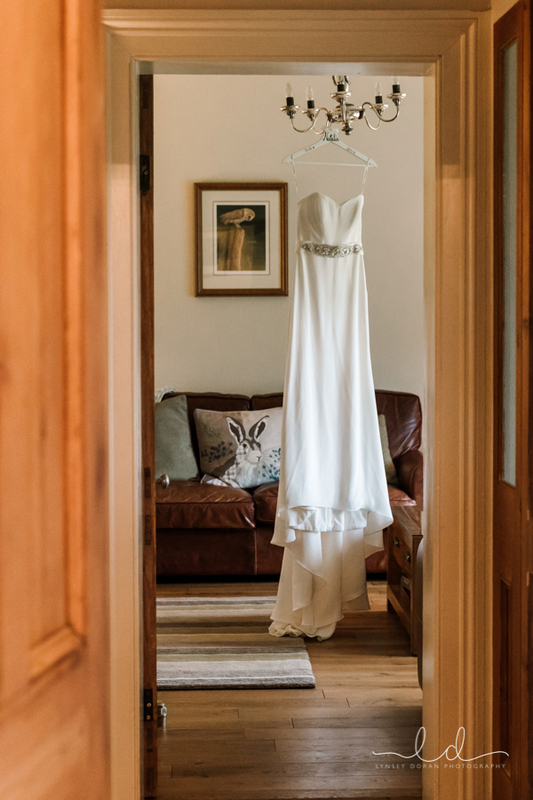 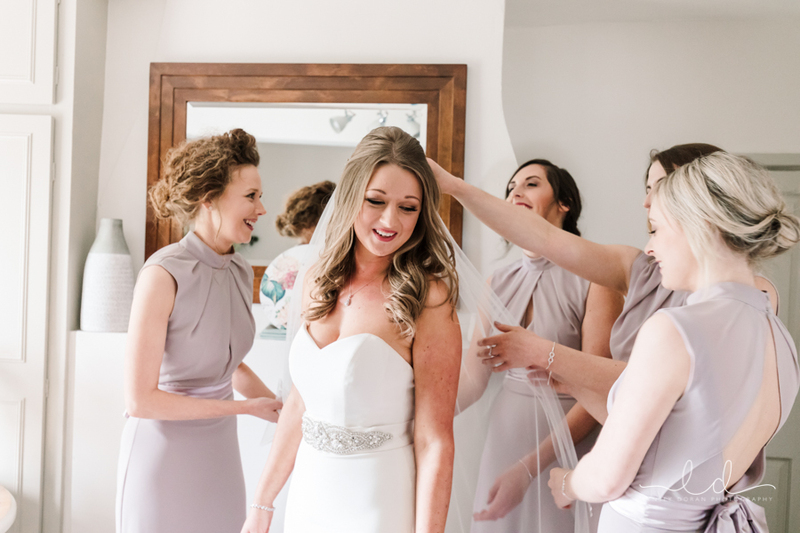 I waited for Natalie and her girls to arrive, they waited in the little stone cottage which is on site and available for the bride and groom to hire alongside the venue itself. 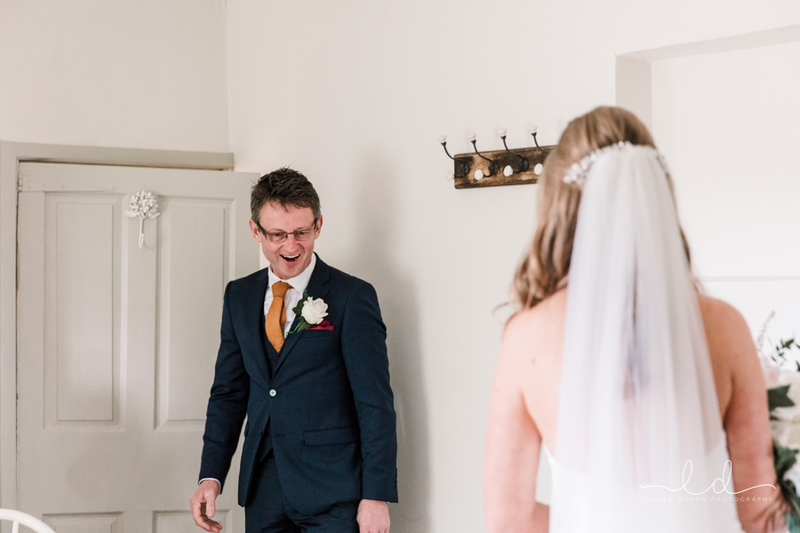 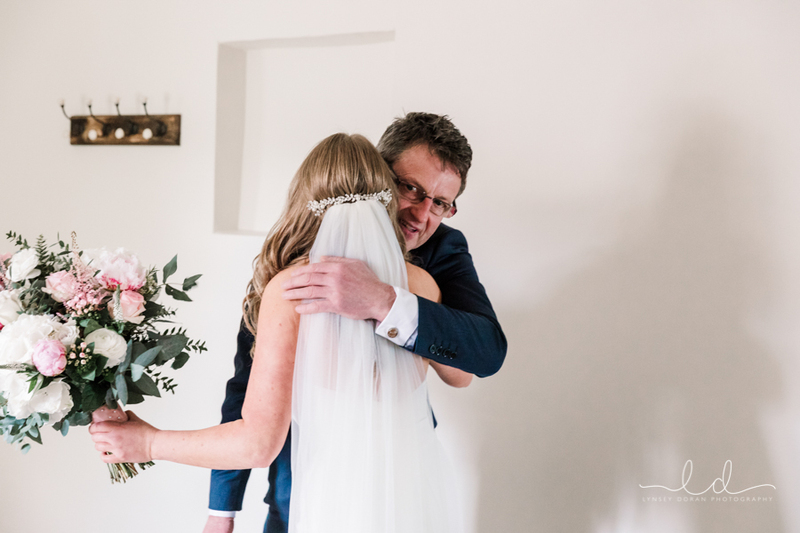 This is where Dad saw his daughter for the first time looking stunning in her wedding dress. 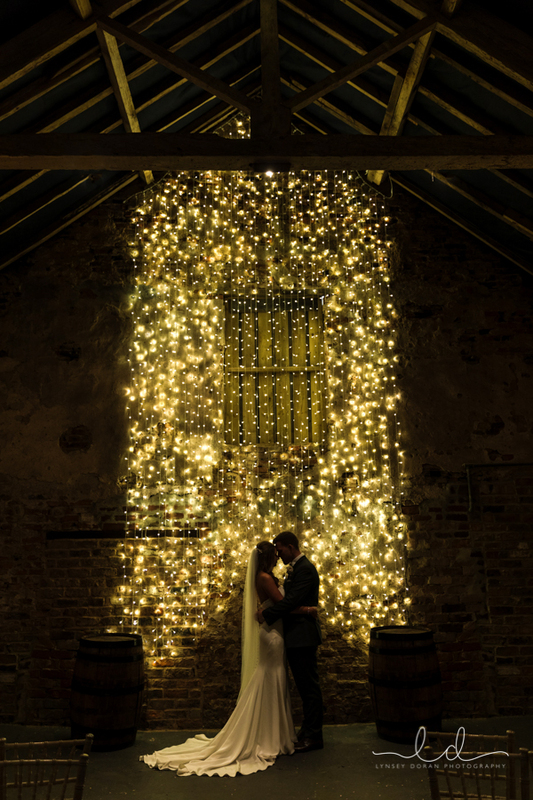 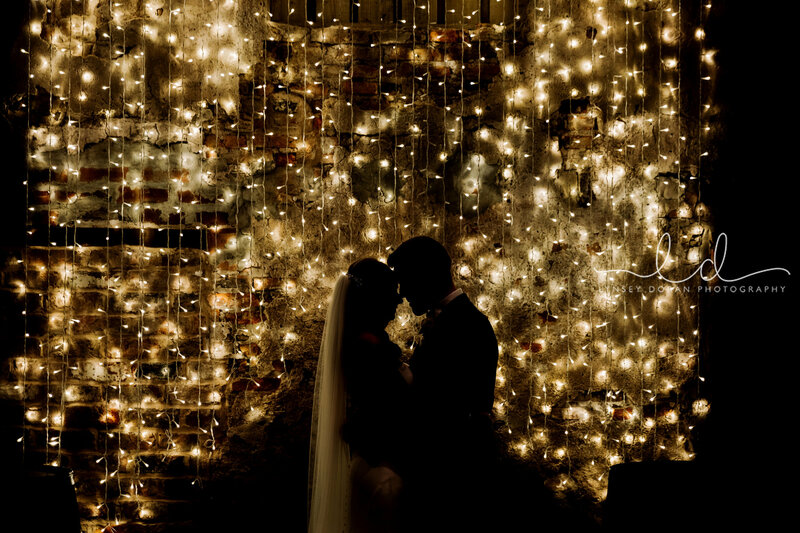 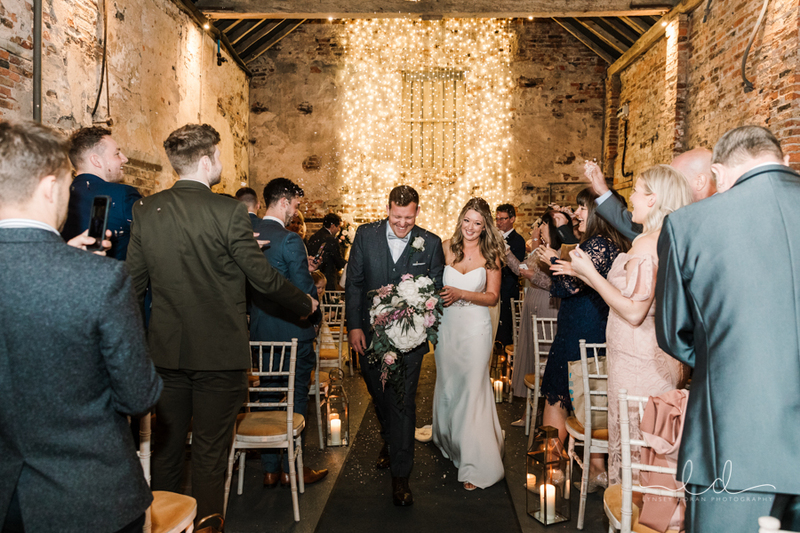 The Barn where the ceremony takes place is so unique, with hundreds of twinkly fairy lights draped on the barn wall to create the most magical scene for couples to be married. 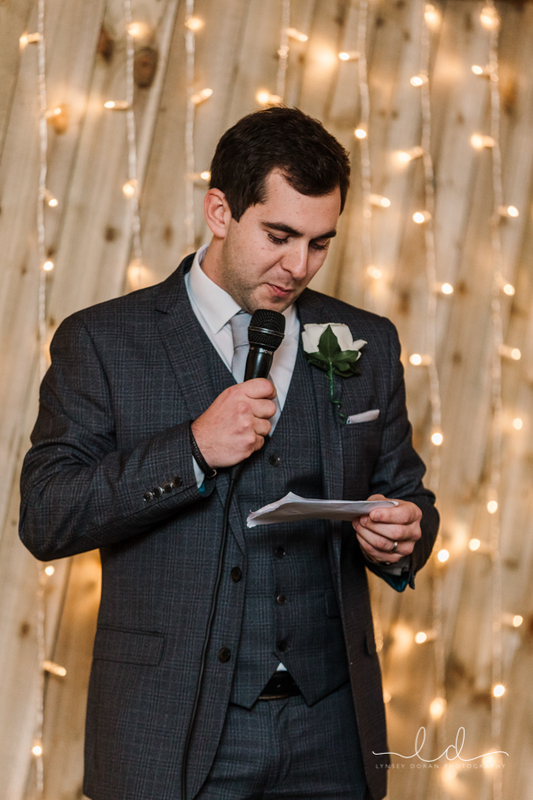 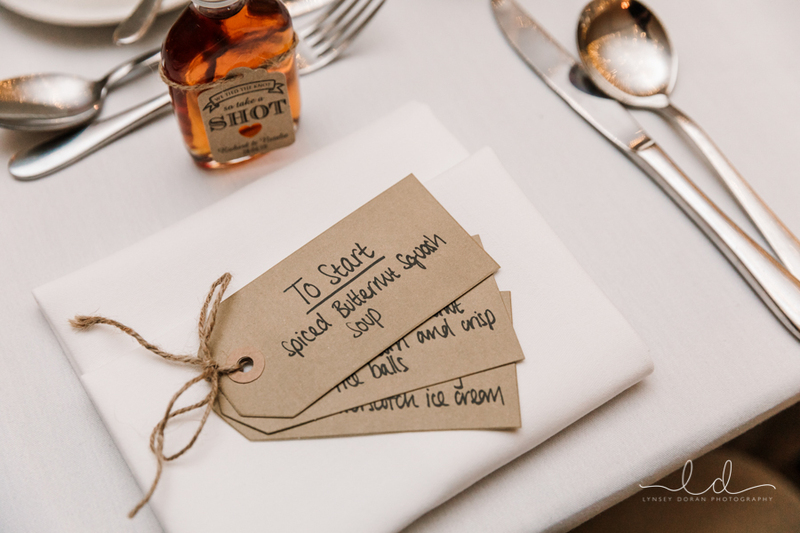 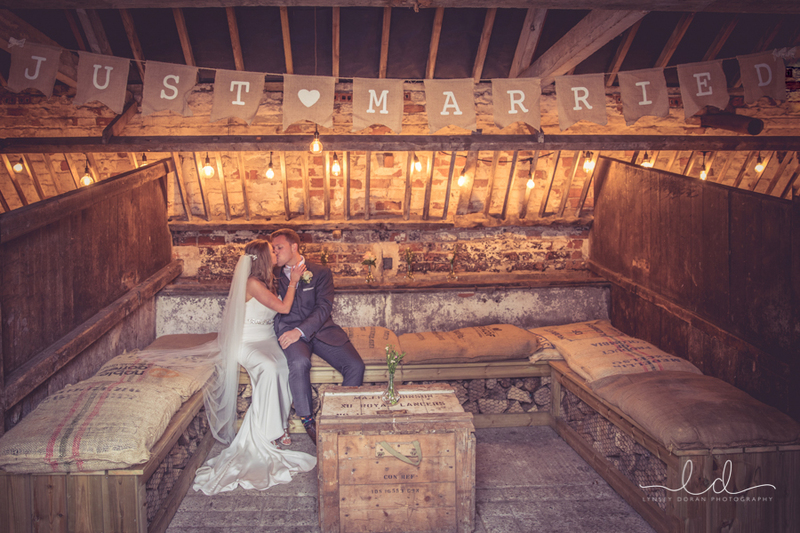 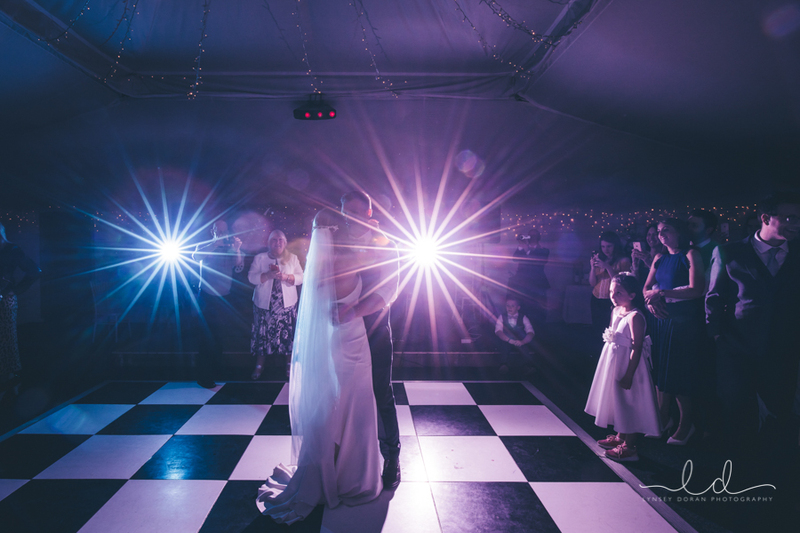 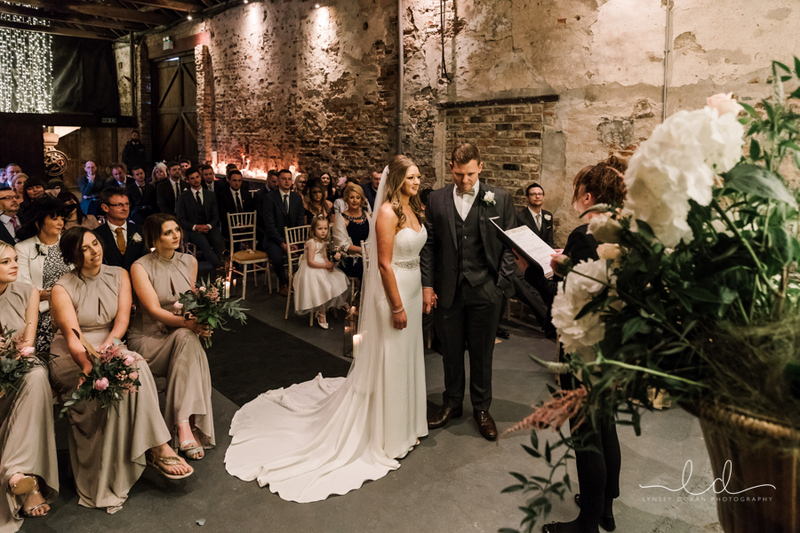 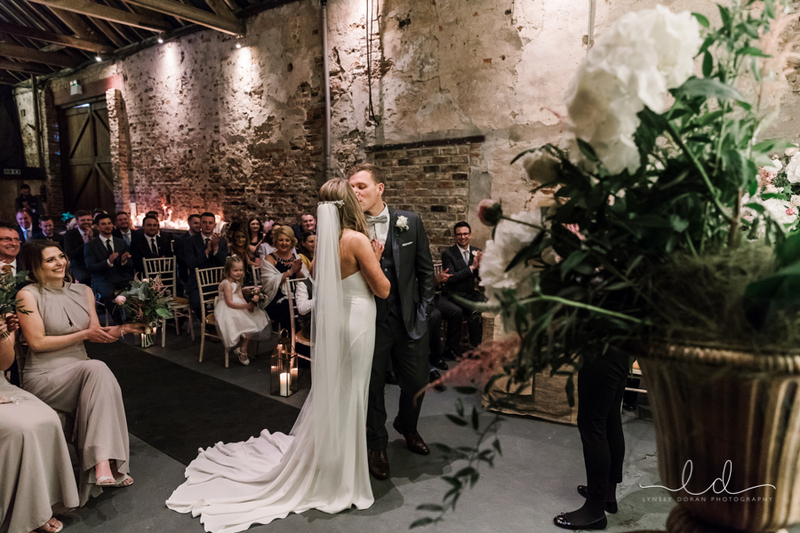 Its super low light and intimate, it is one of my most favourite venues to date! 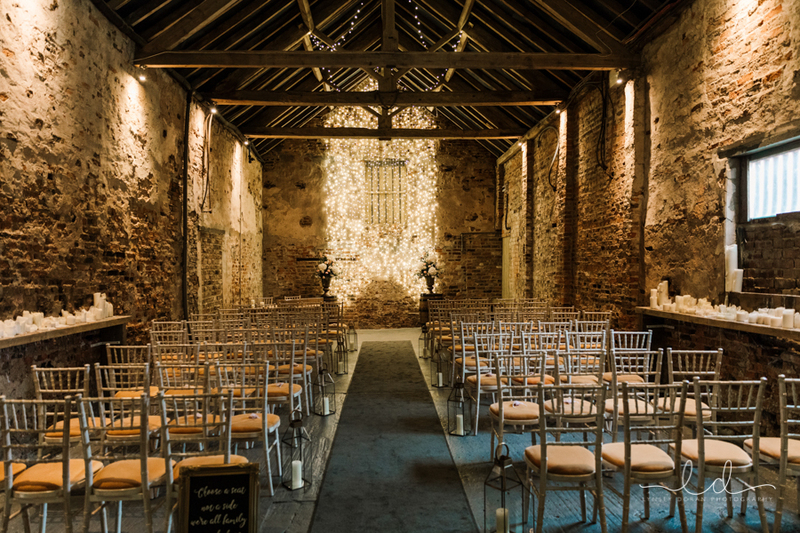 Guests showered Richard and Natalie in beautiful dried petal confetti as they headed back up the aisle. 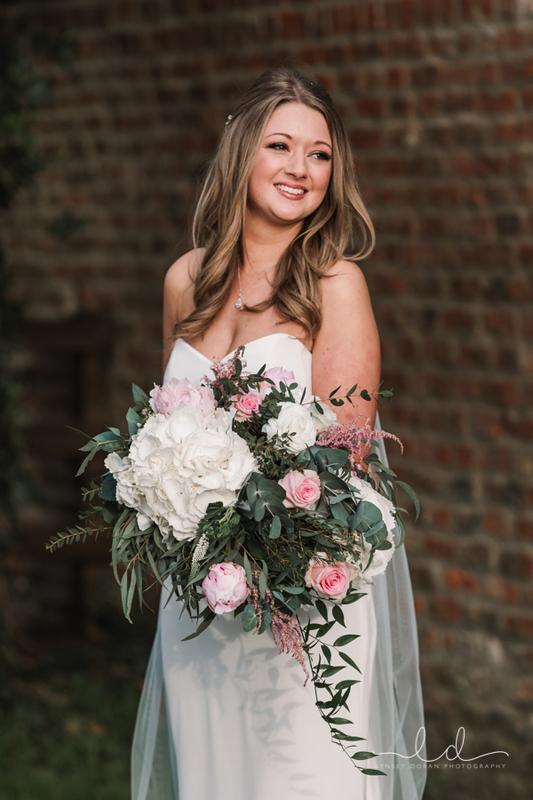 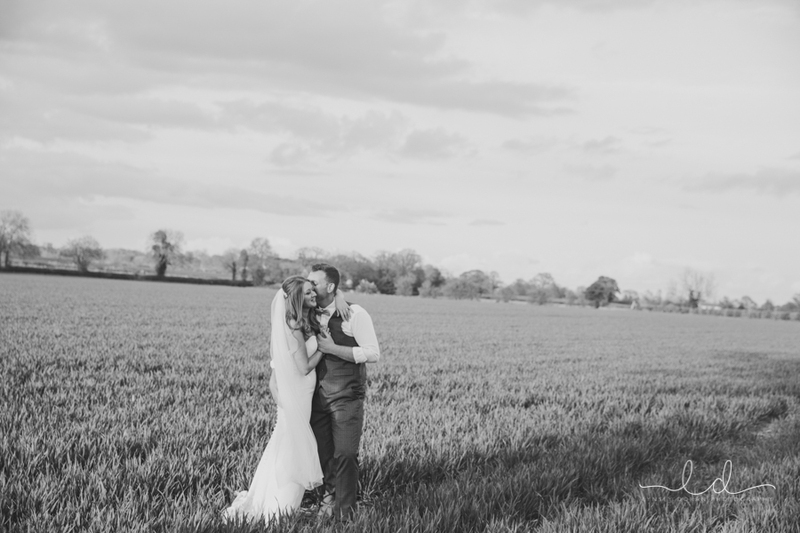 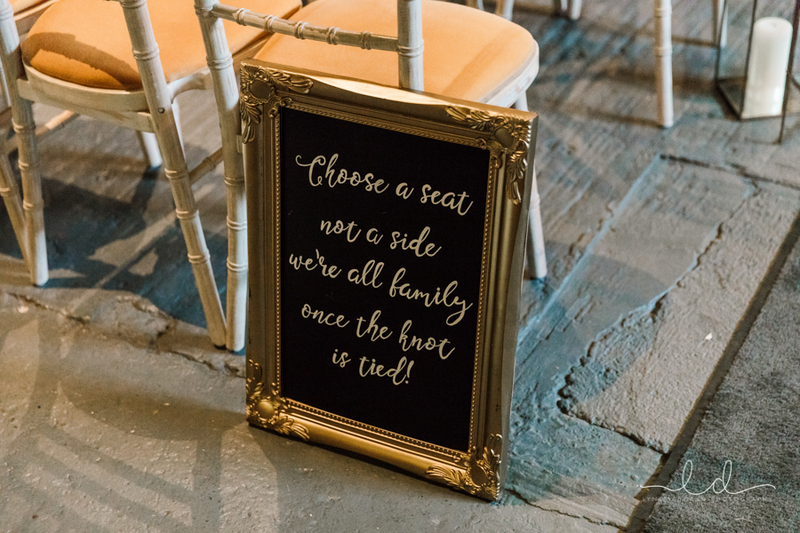 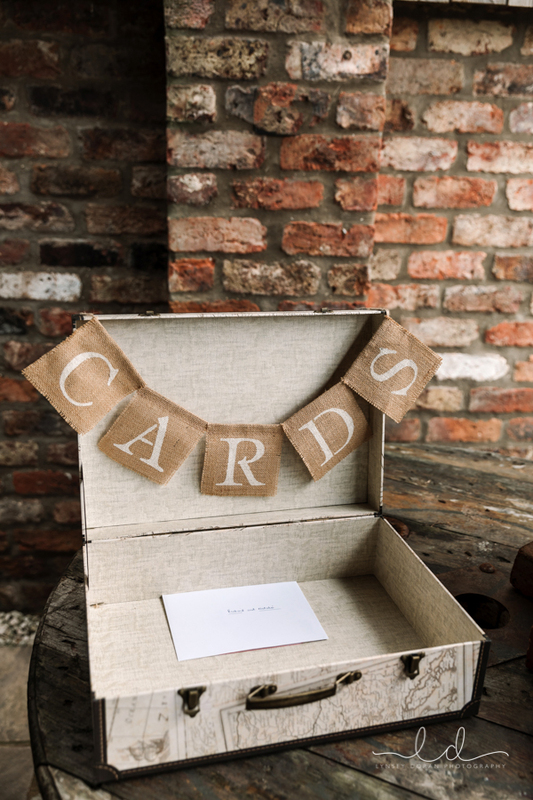 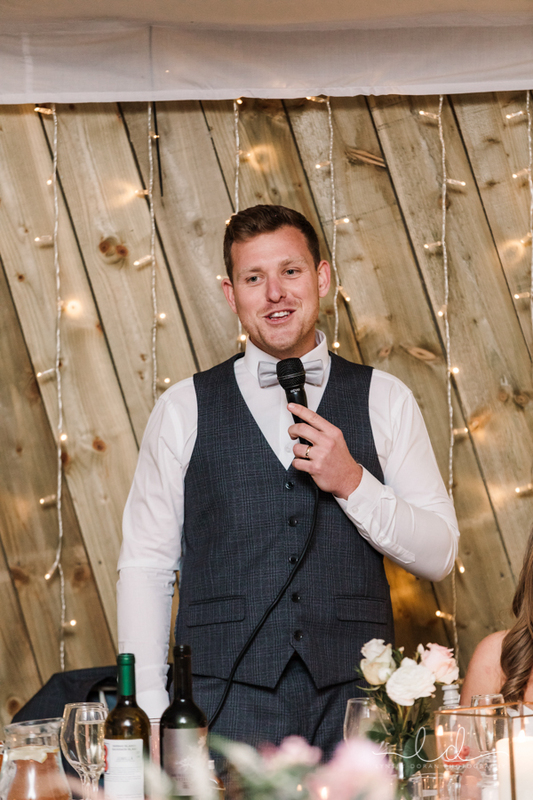 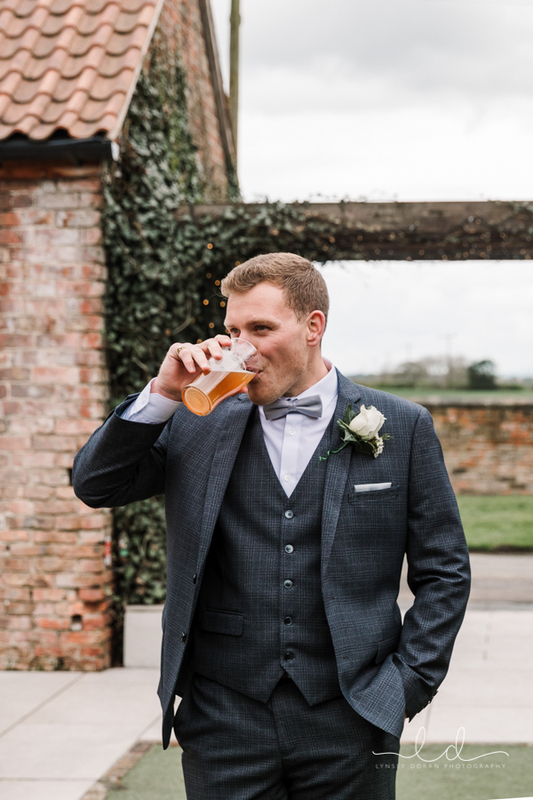 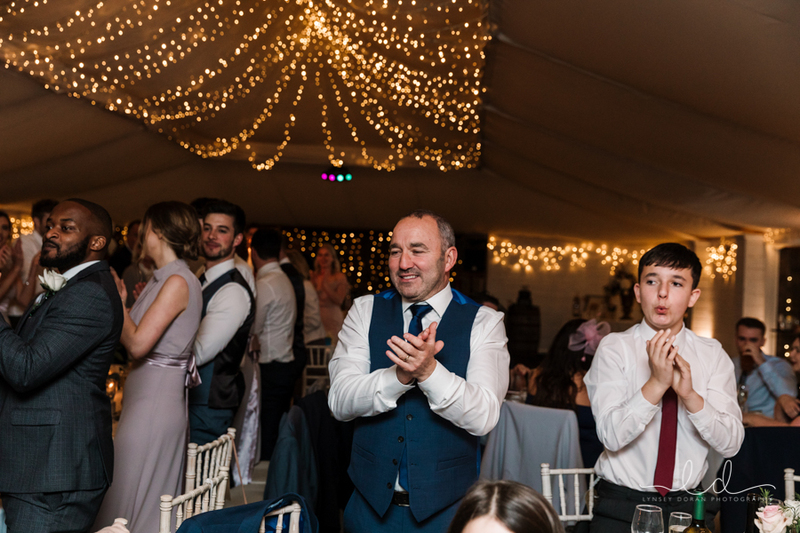 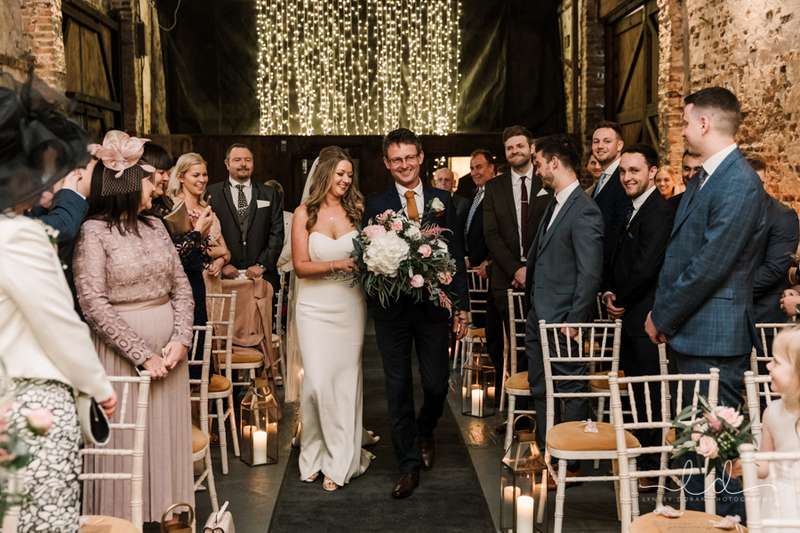 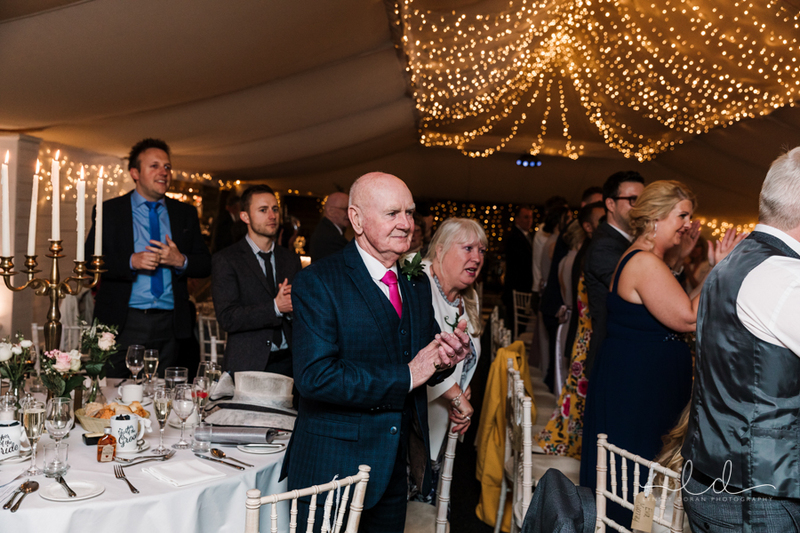 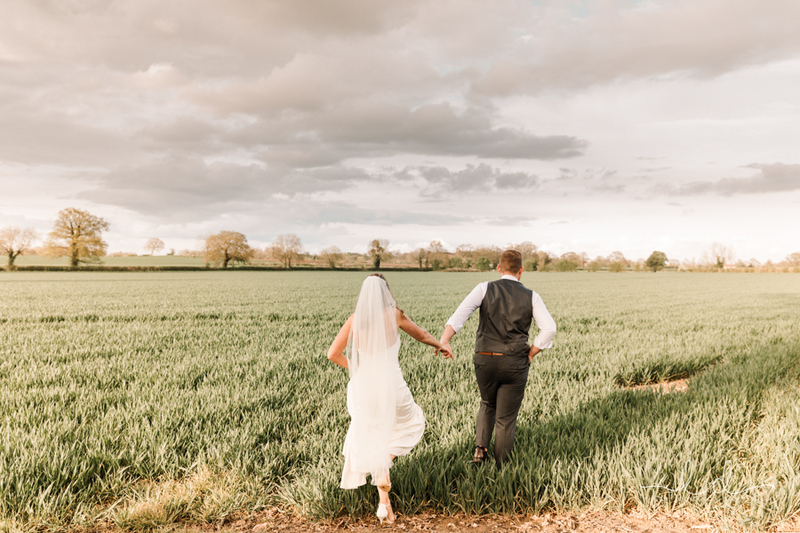 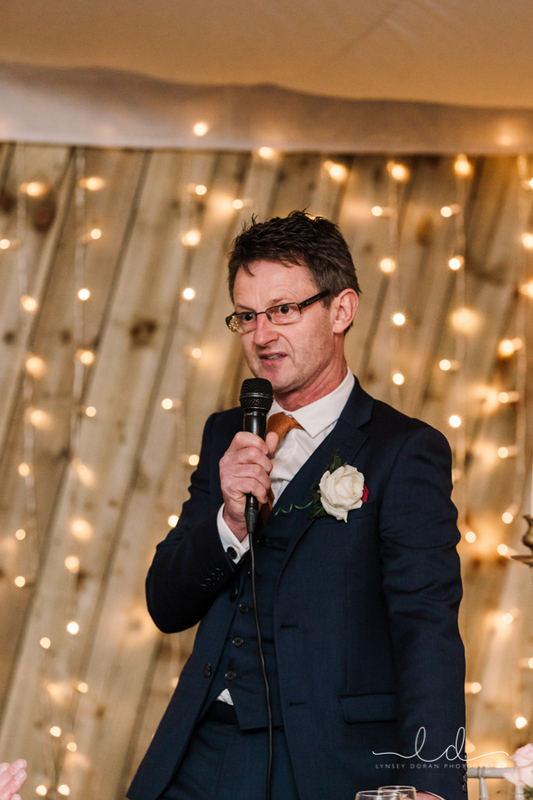 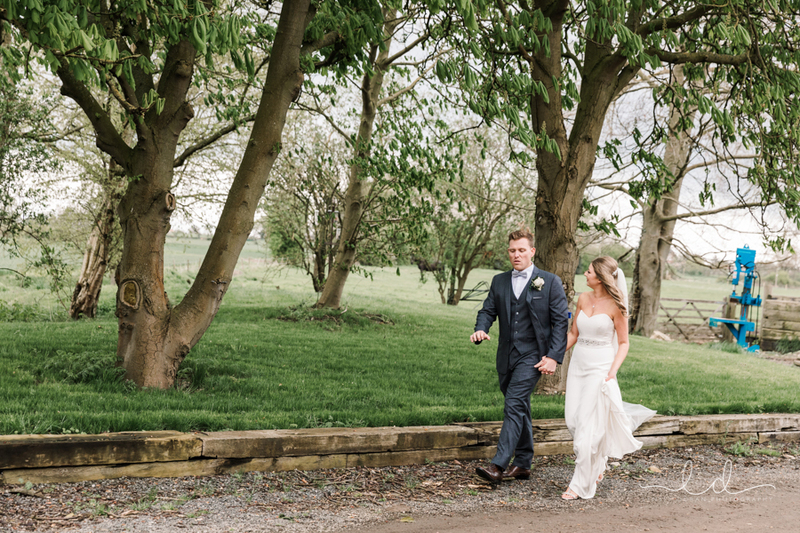 It was fantastic to be able to use the surrounding fields and barns, this enabled us to create some stunning photos which match the theme of the rustic country barn wedding beautifully. 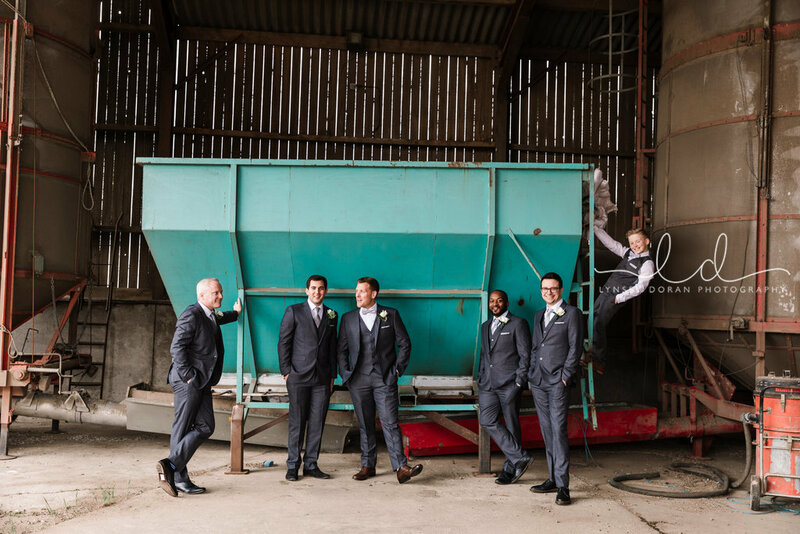 The old buildings and industrial farm equipment looked great and added such an unusual background for the group photographs. 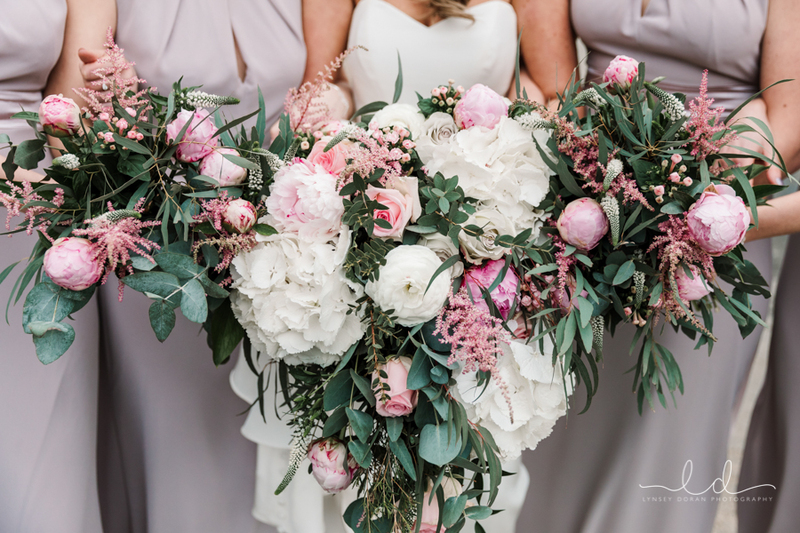 The girls carried truly stunning wedding bouquets which were created by a fabulous West Yorkshire Wedding florists Lilys of Bramhope. 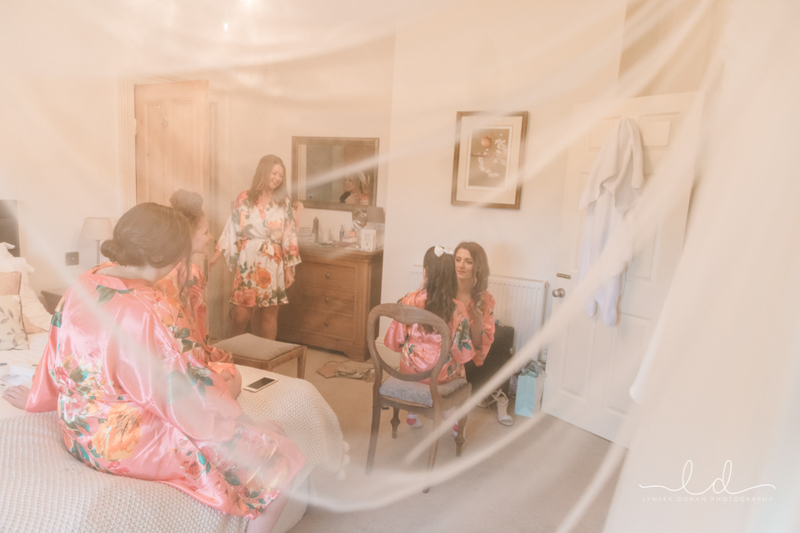 As a West Yorkshire wedding photographer I have been lucky enough to work alongside Rachel numerous times and her work is beautiful. 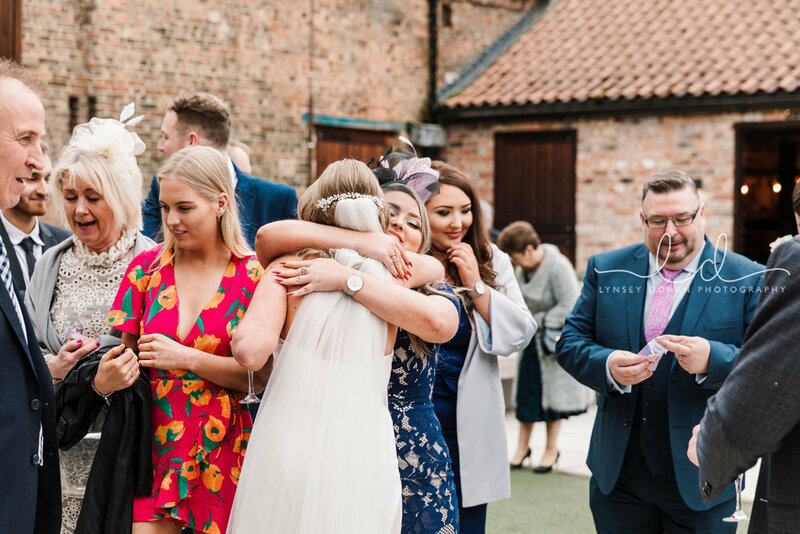 Following on from the groups we went back to the courtyard at the Normans where the drinks reception was in full swing. 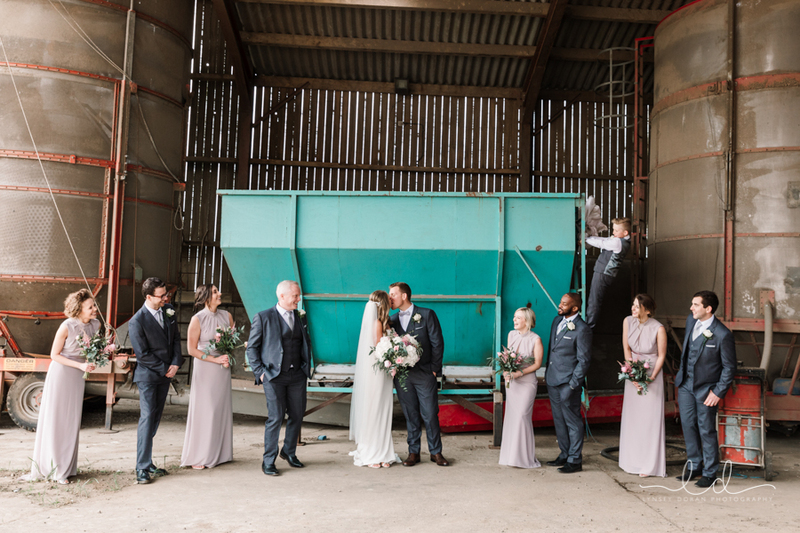 Whilst the staff got everybody seated for the wedding breakfast it was a great opportunity to grab some photographs inside the rustic Yorkshire wedding venue, using the beautifully converted cow stalls which had been delicately decorated with rustic hessian and delicate flowers in little jam jars. 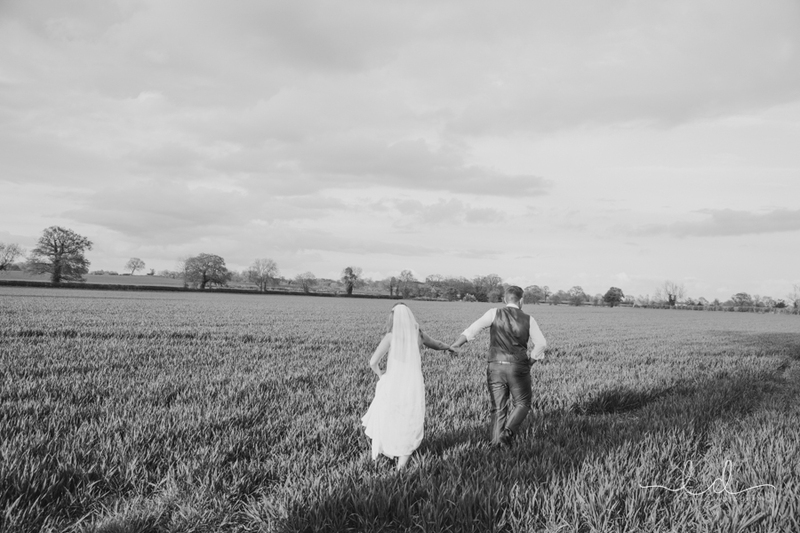 Before the evening party got into full swing we headed out into the surrounding fields. 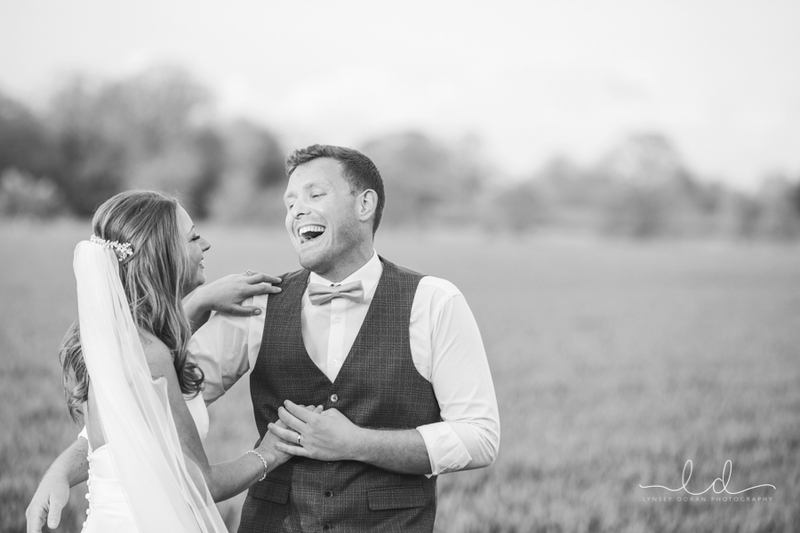 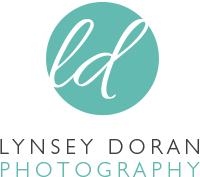 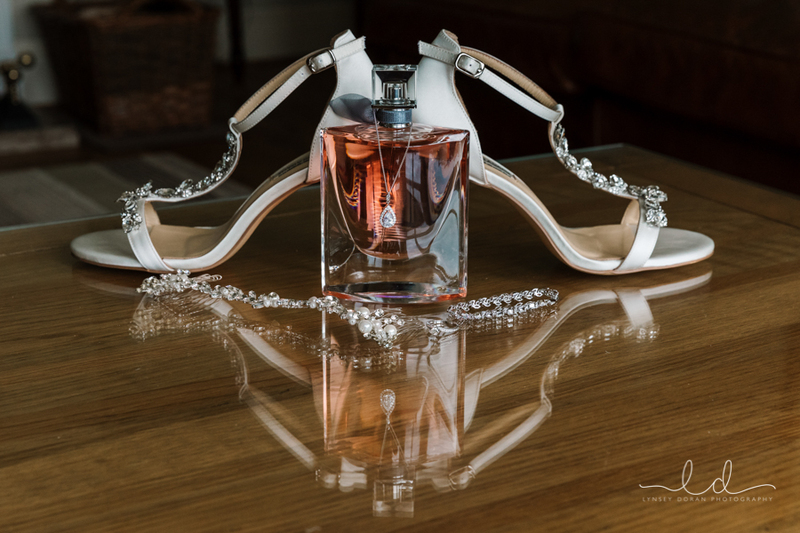 Such a great opportunity to get some beautiful relaxed wedding photographs. 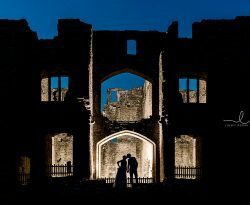 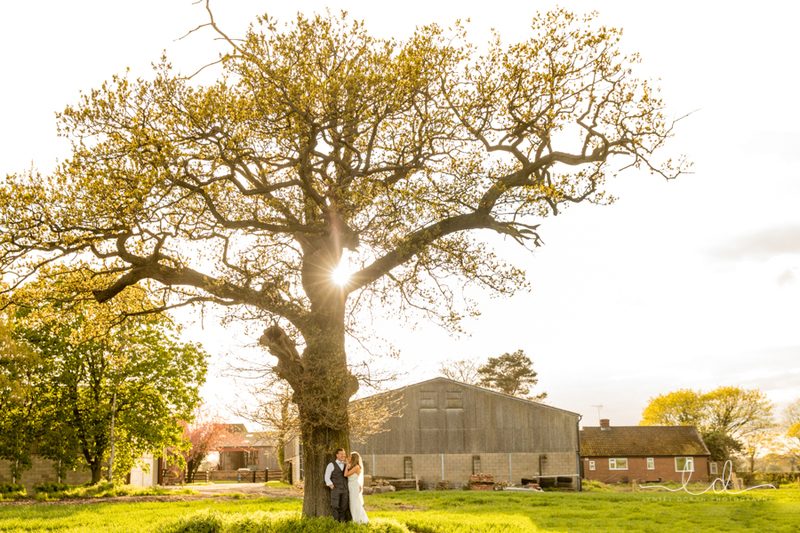 Richard & Natalie were fabulous and were desperate for images behind the venue against a huge tree. 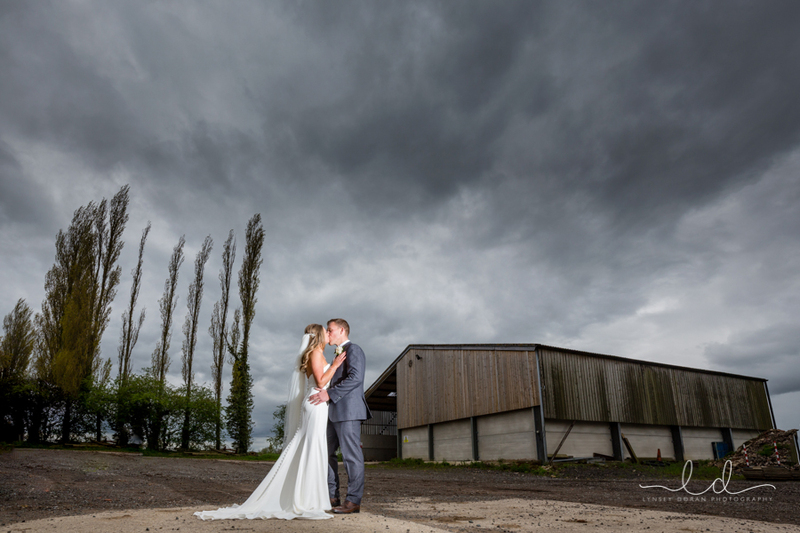 As we got to it the sun was shining through and it looked absolutely beautiful. 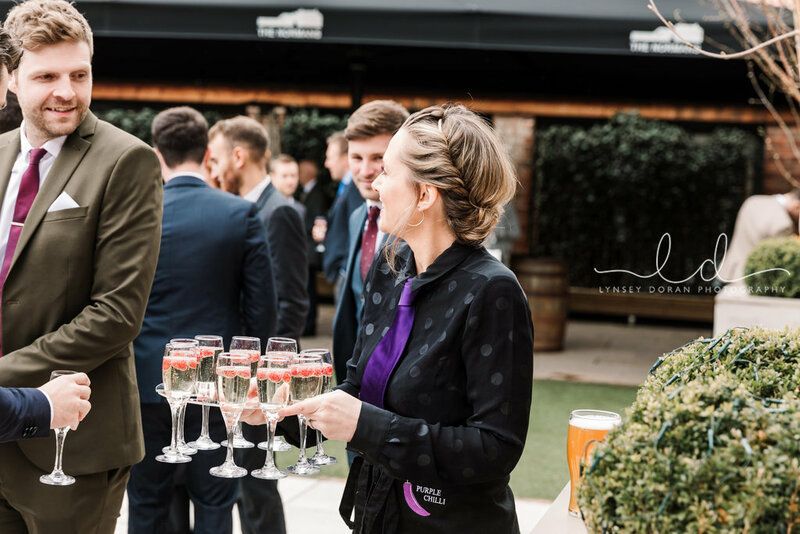 We returned to their guests who were enjoying drinks in the evening sunshine. 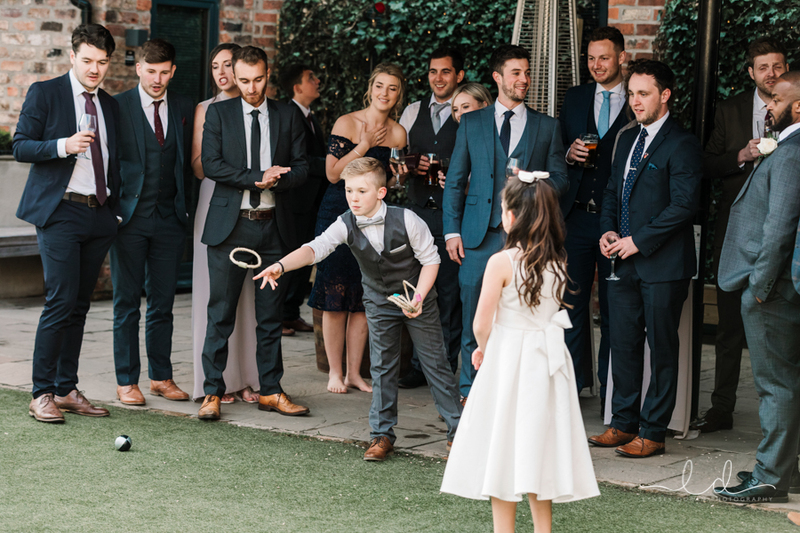 They were playing garden games in the courtyard of The unusual Yorkshire wedding venue. 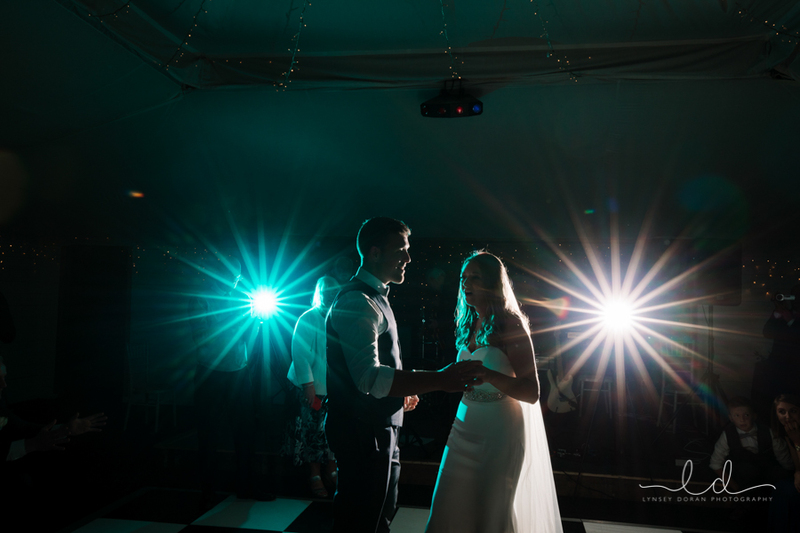 The evening reception kicked off with cake cutting and first dance which were followed by a live band performance.